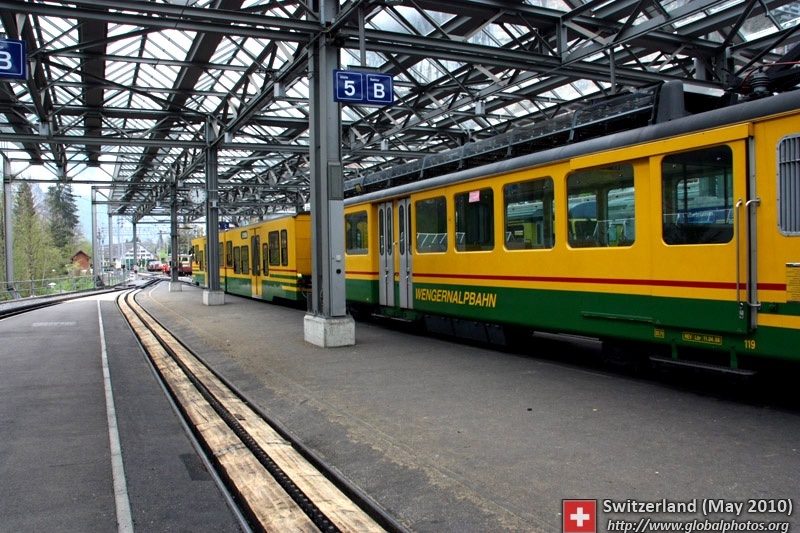 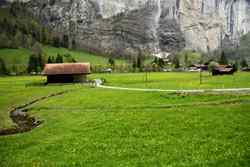 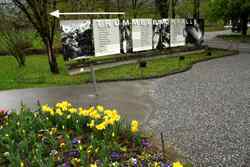 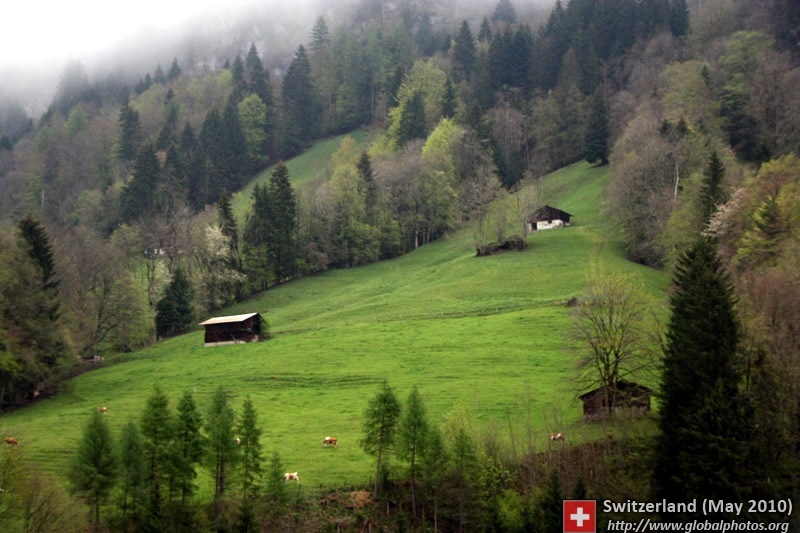 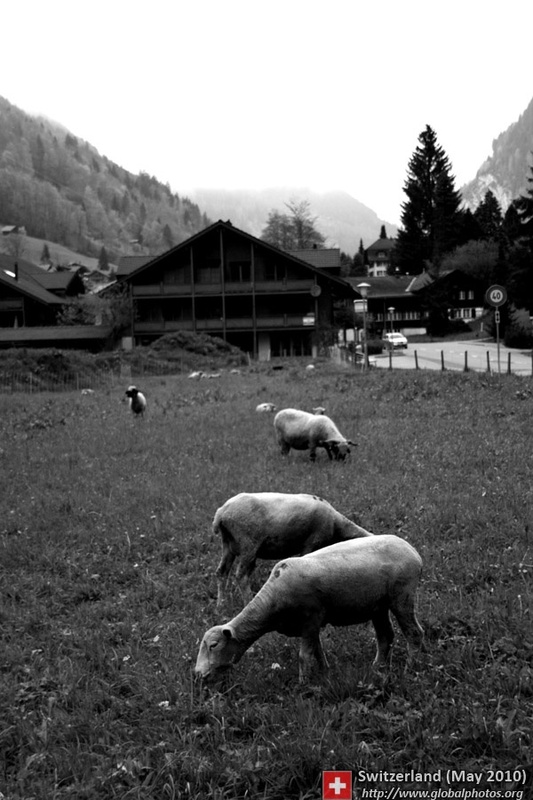 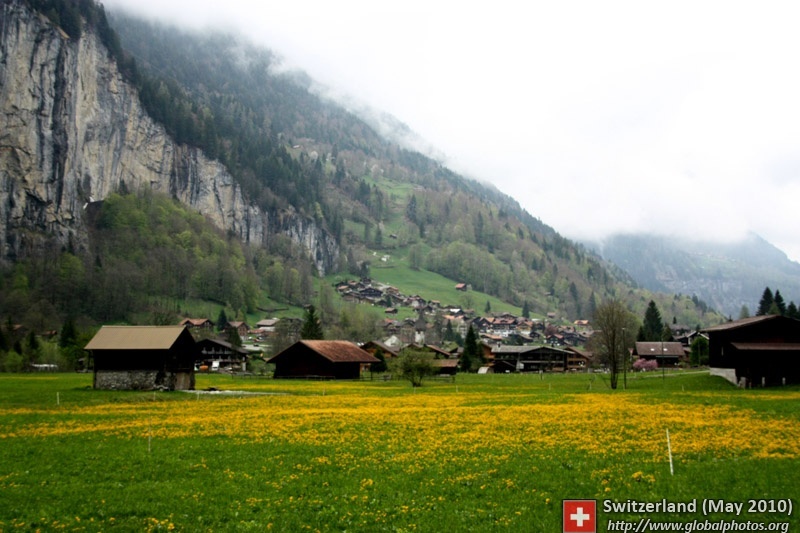 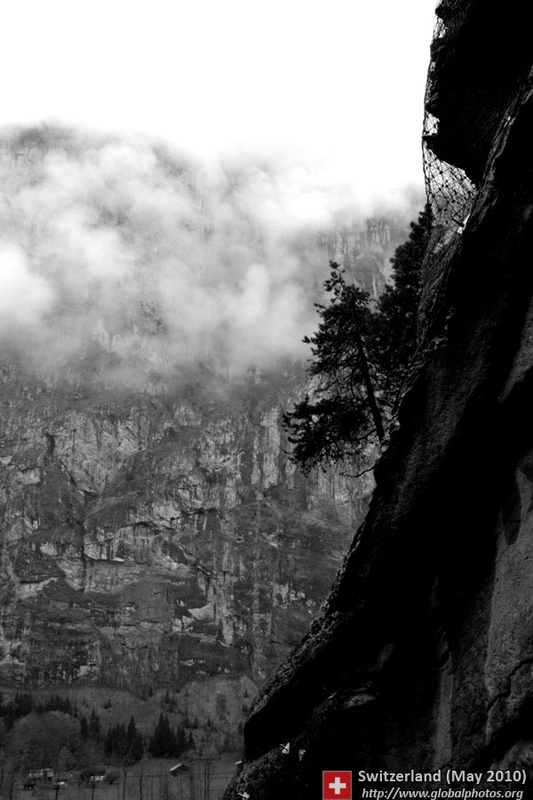 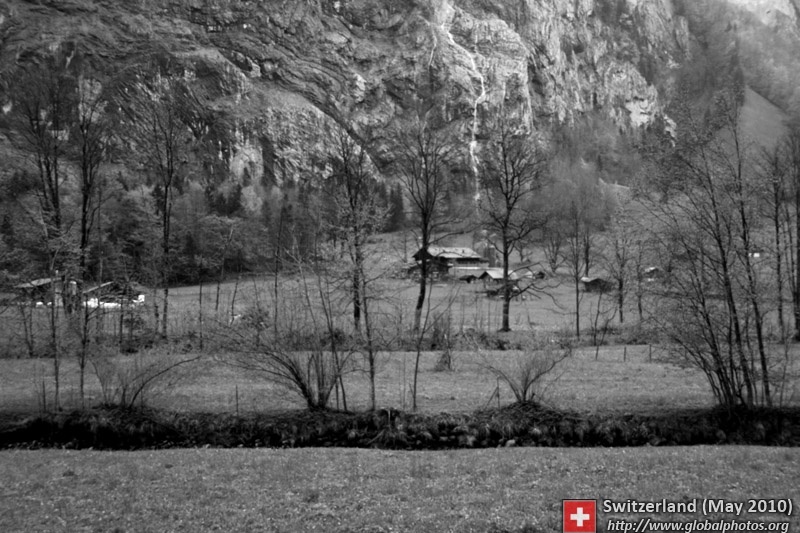 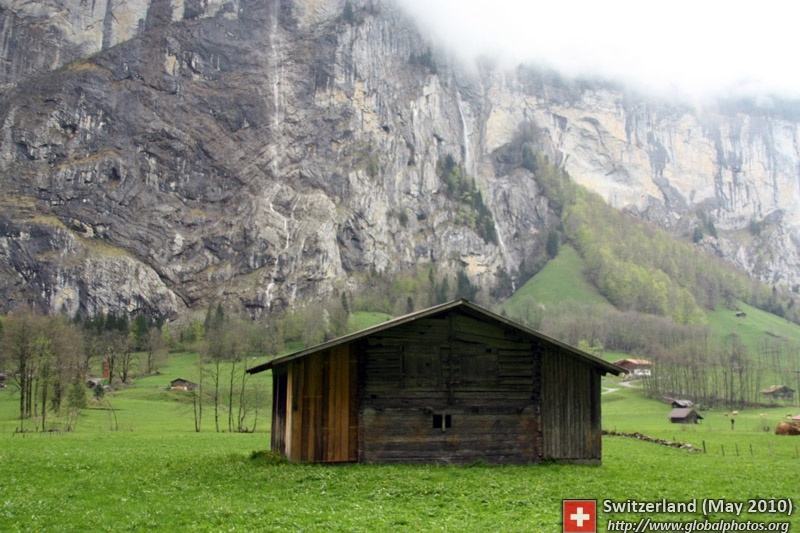 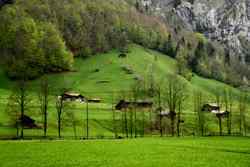 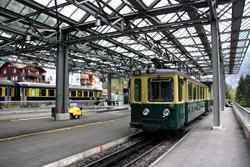 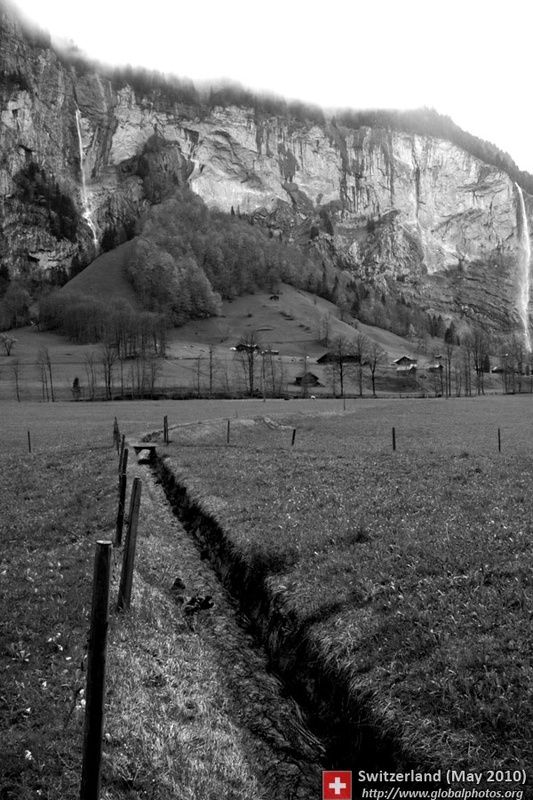 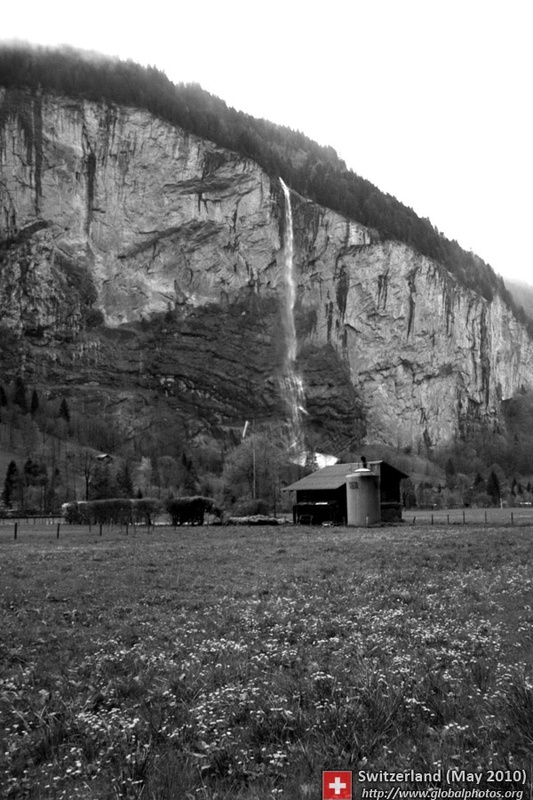 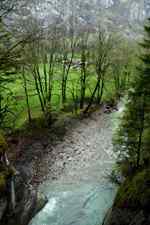 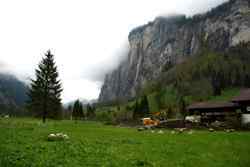 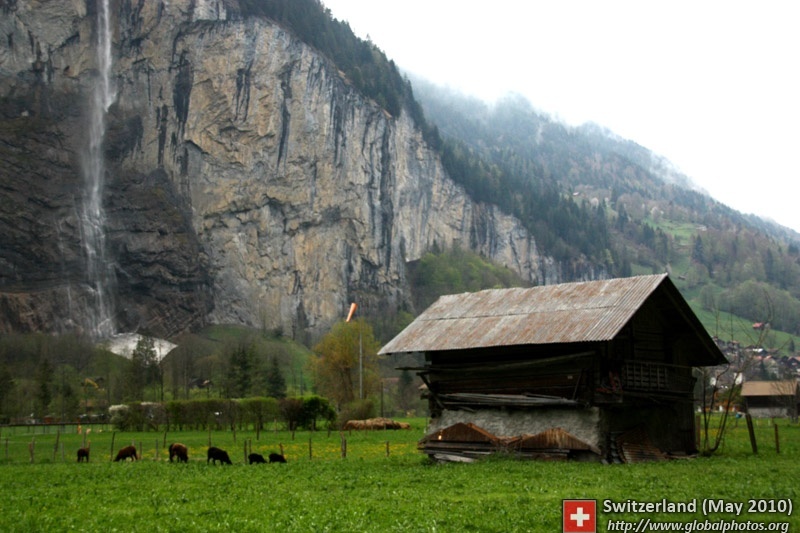 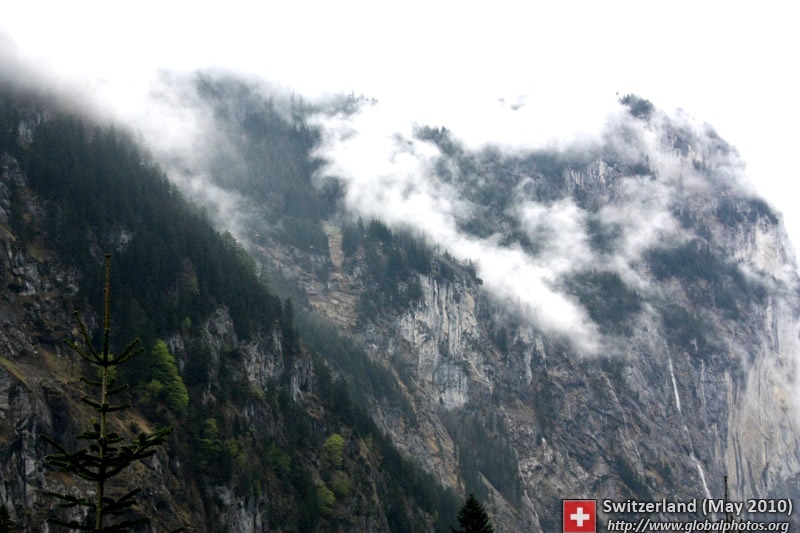 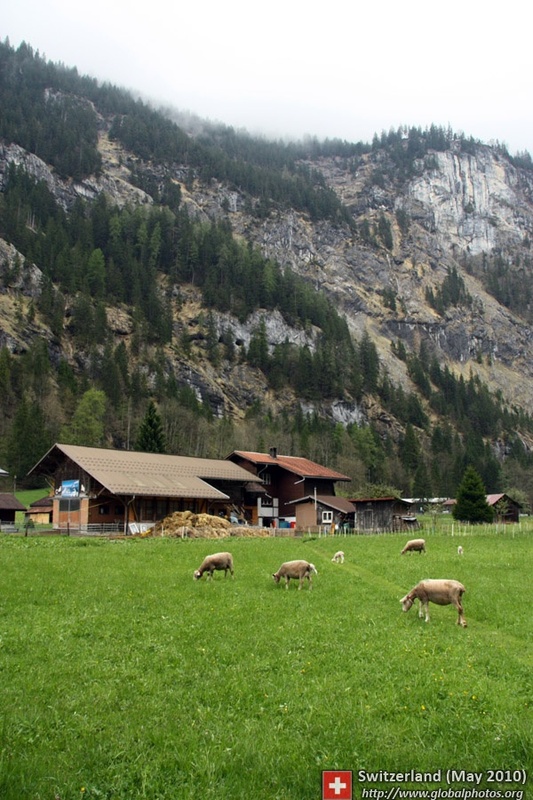 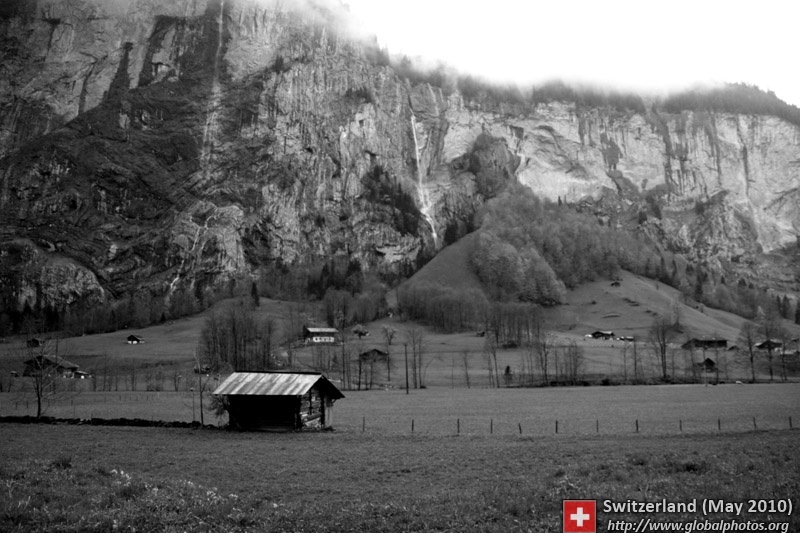 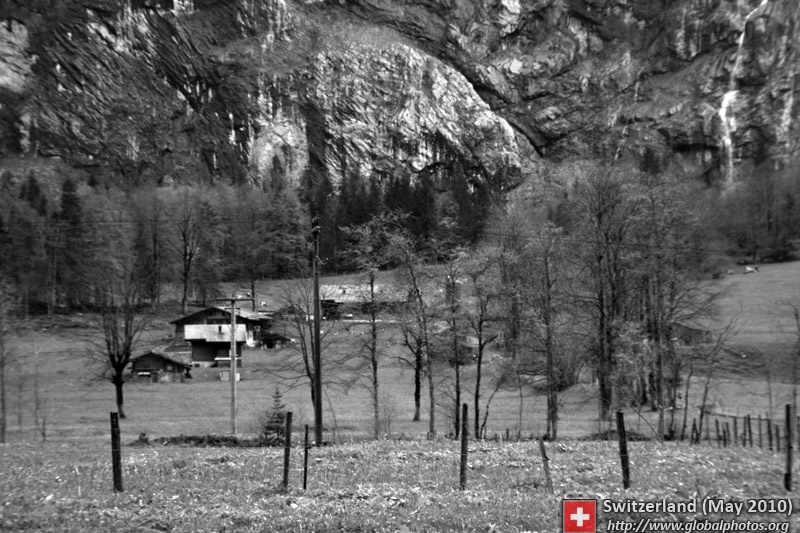 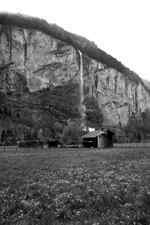 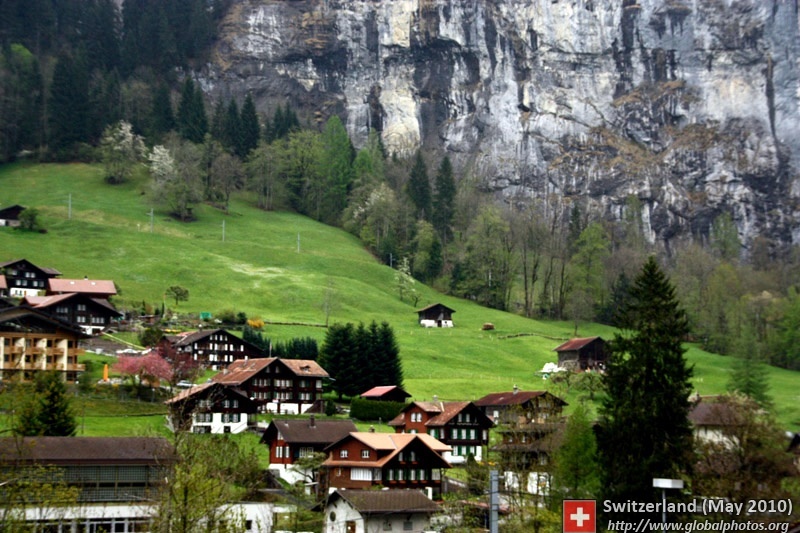 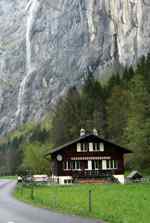 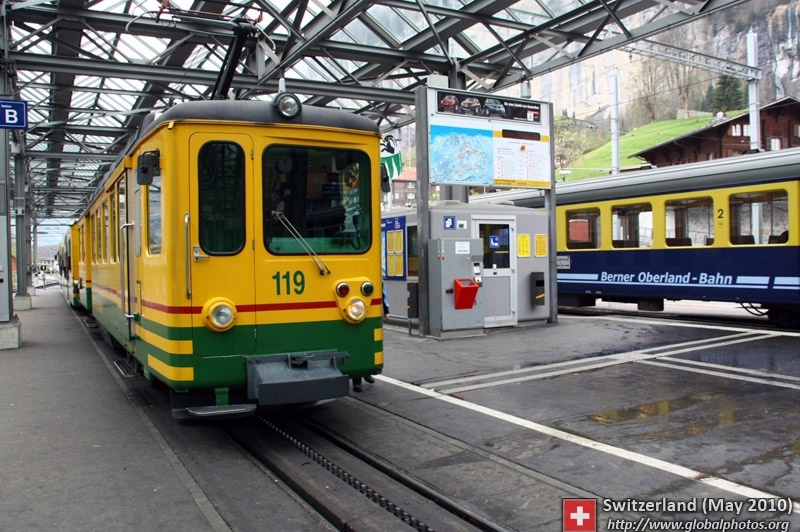 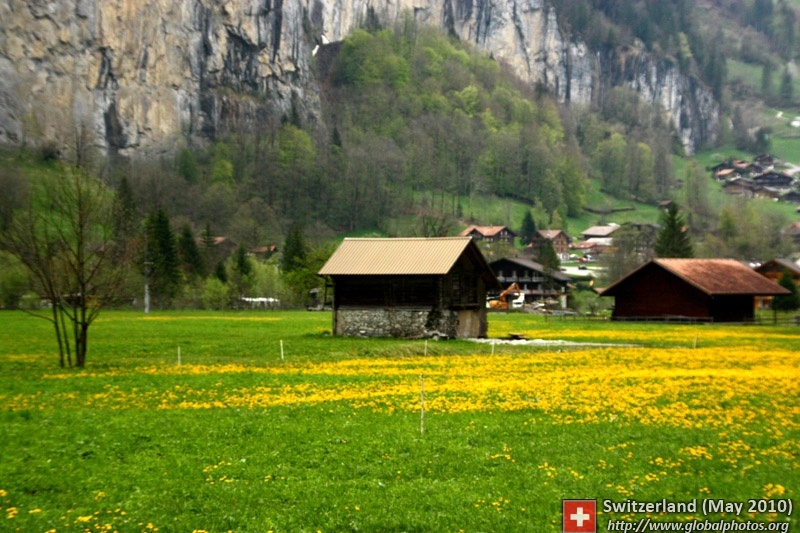 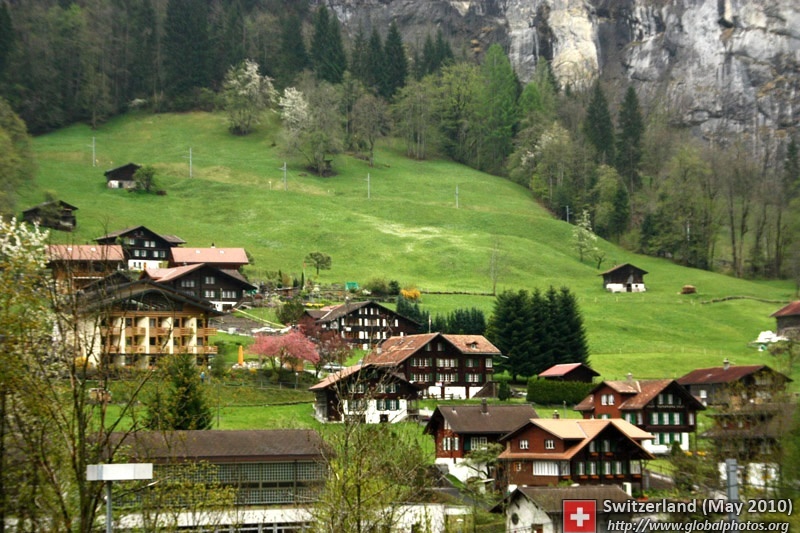 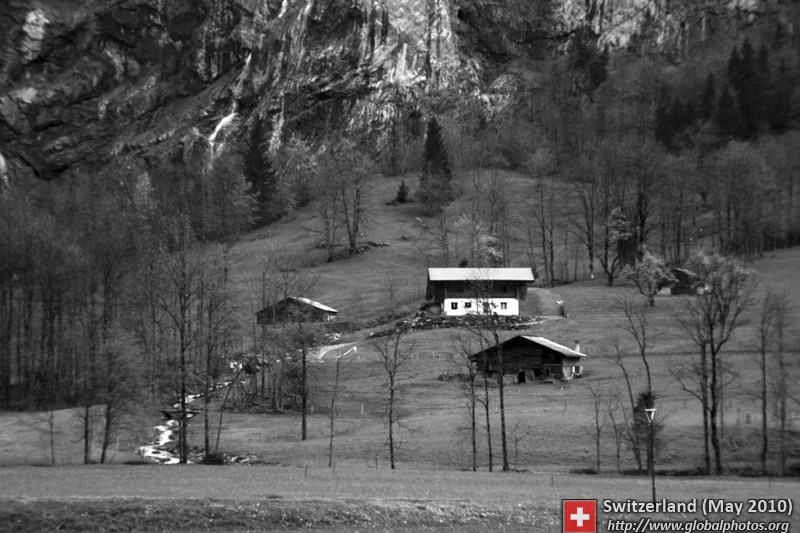 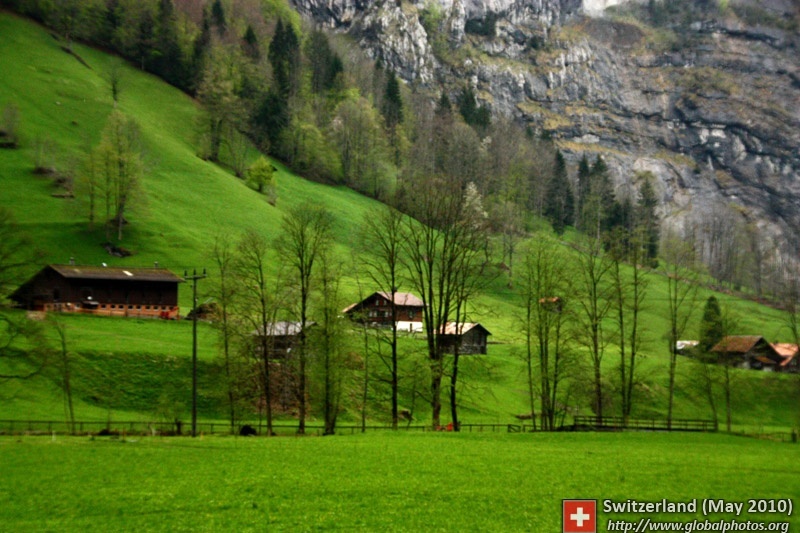 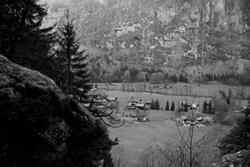 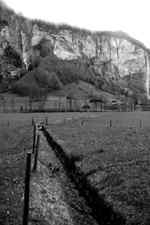 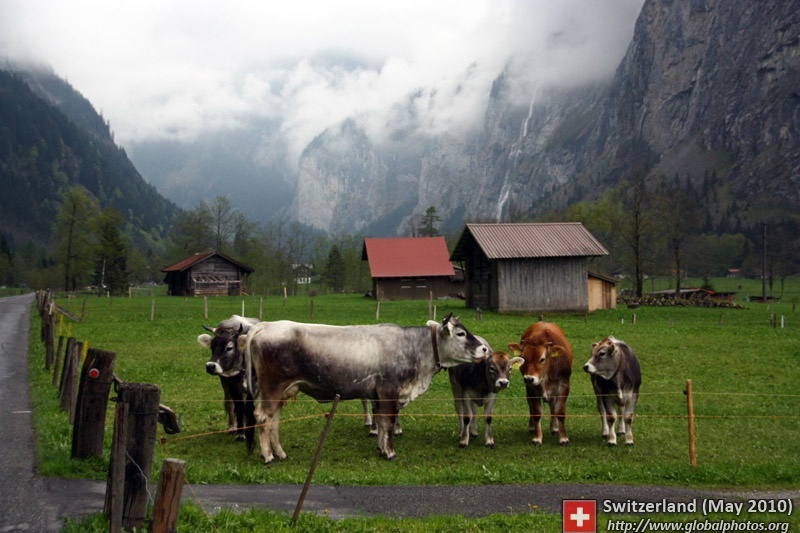 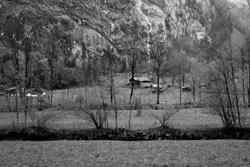 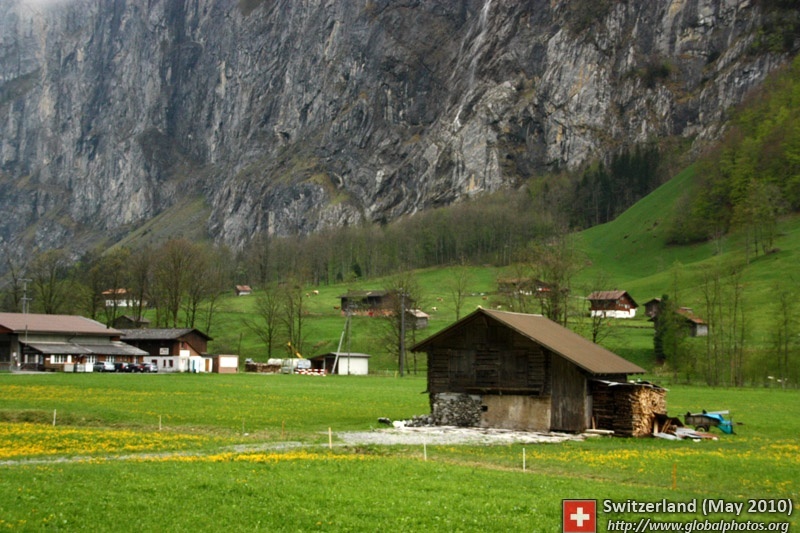 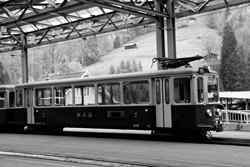 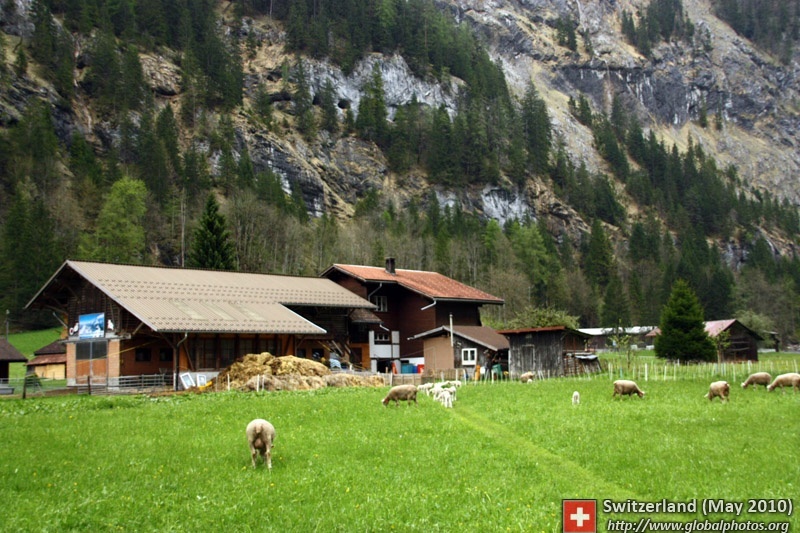 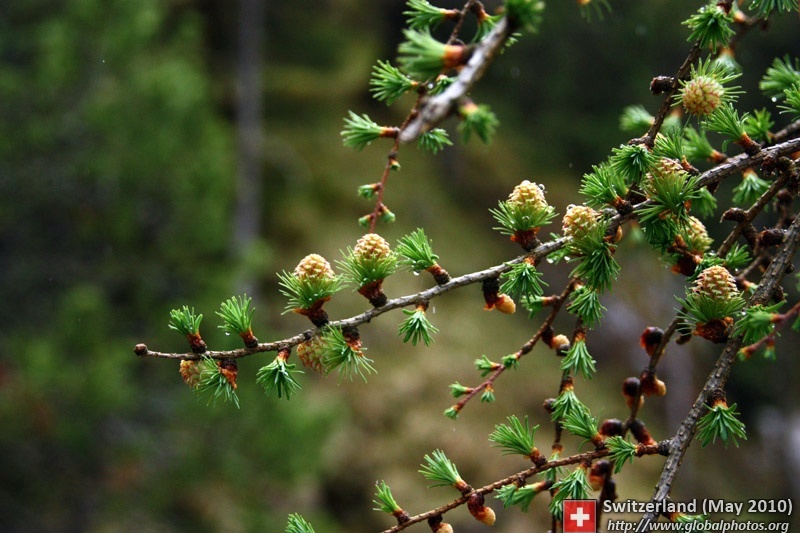 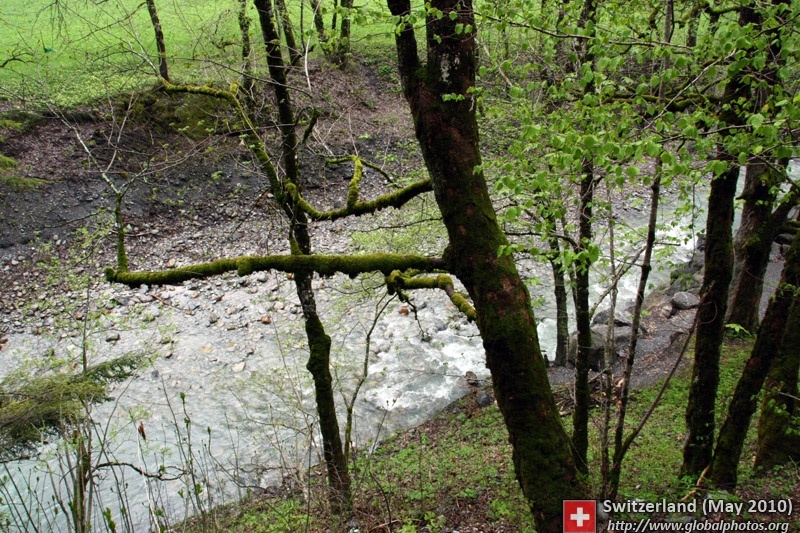 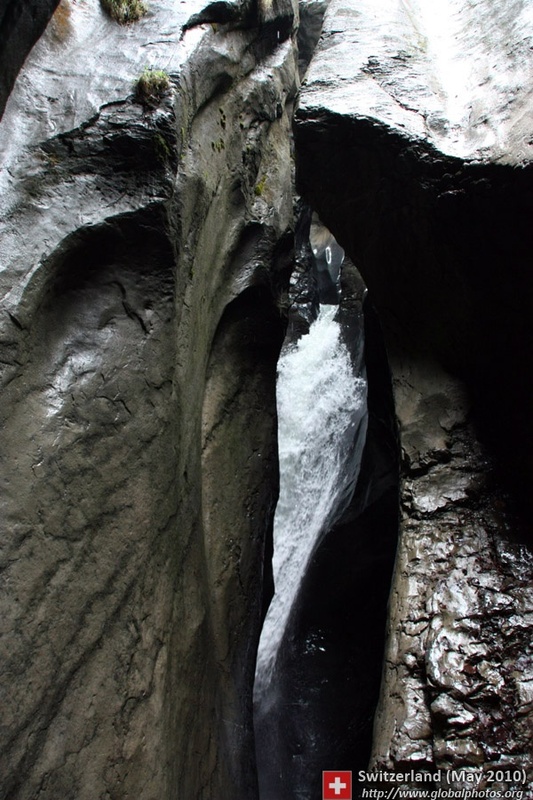 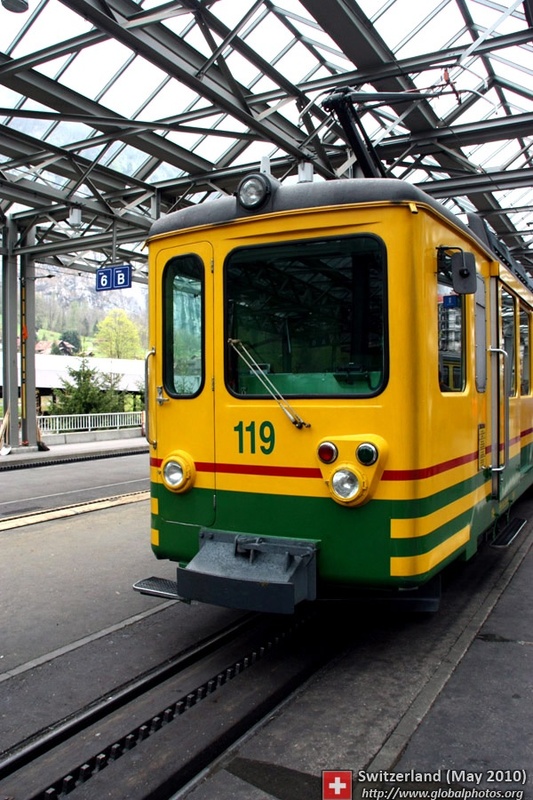 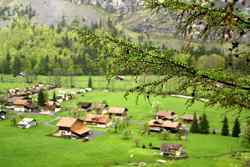 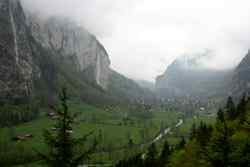 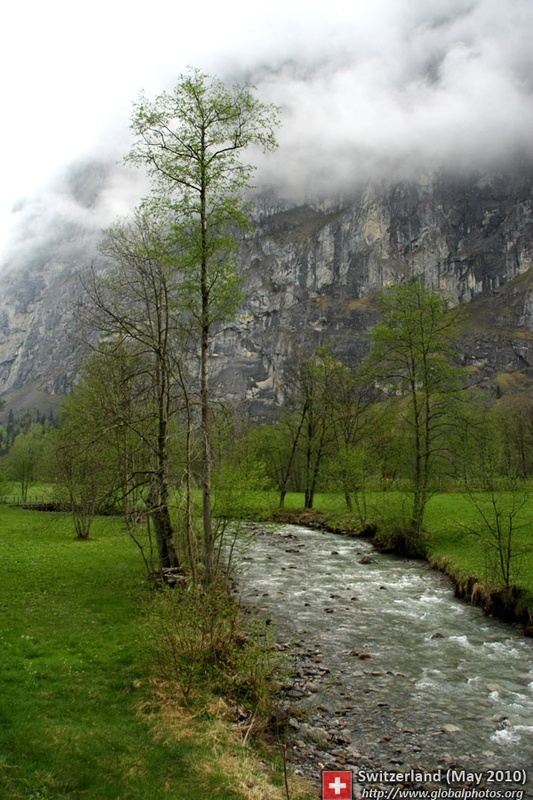 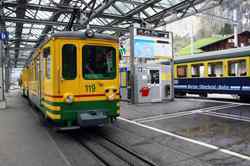 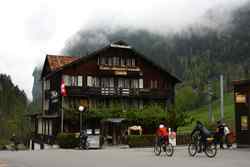 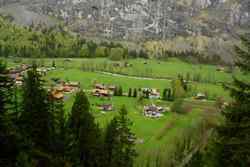 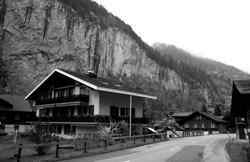 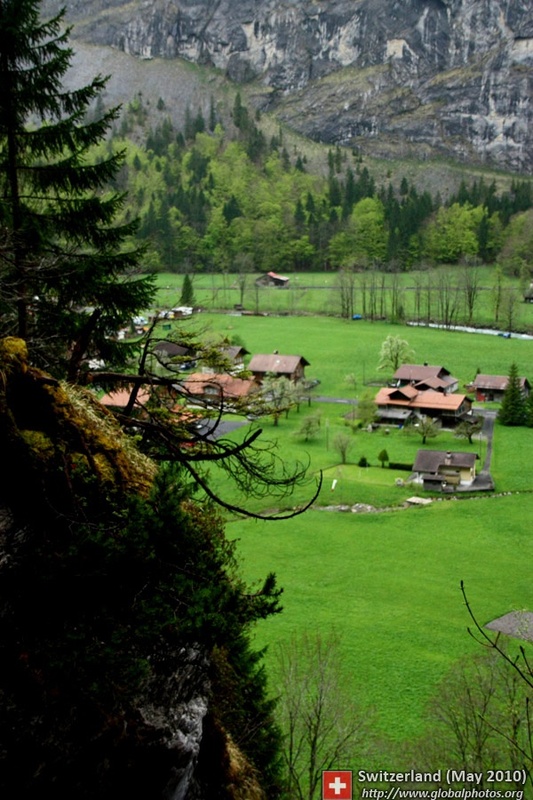 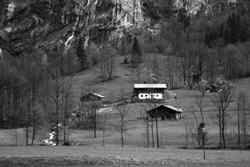 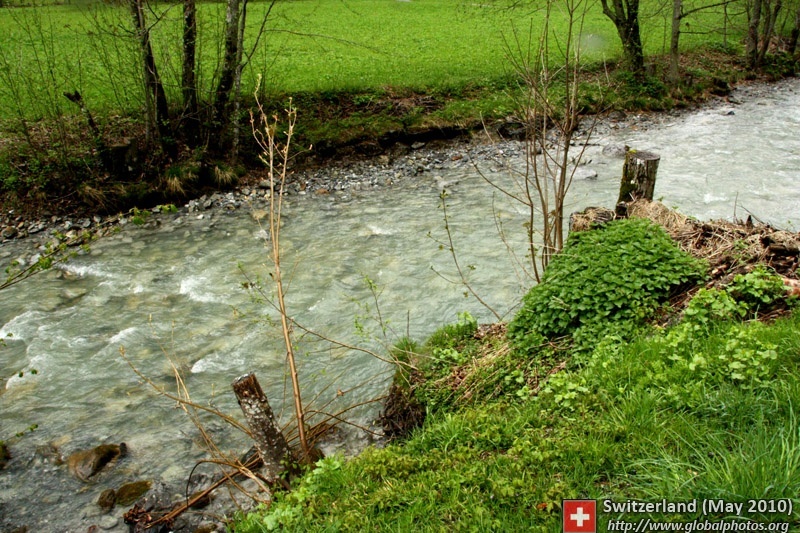 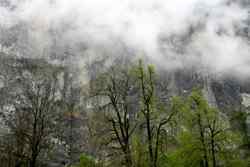 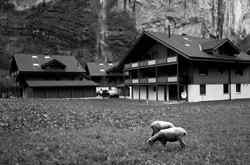 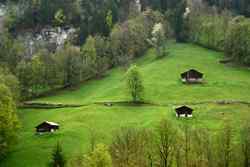 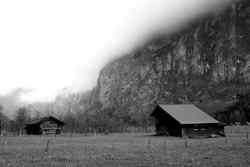 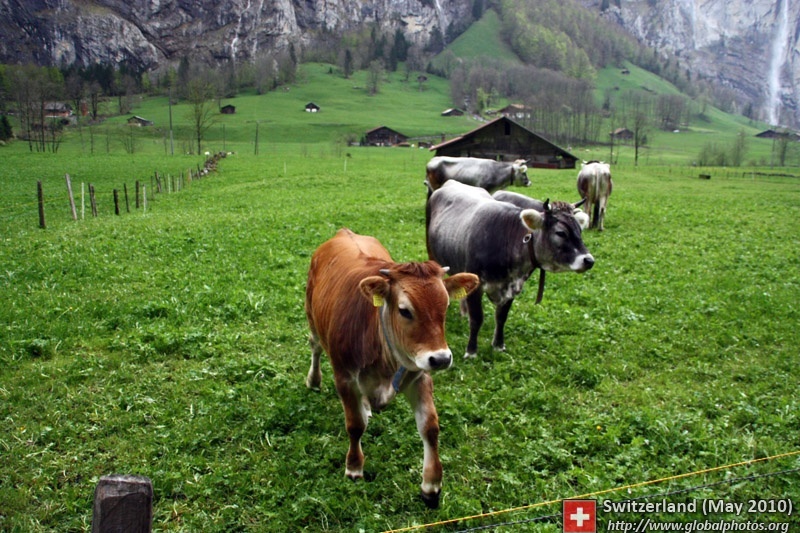 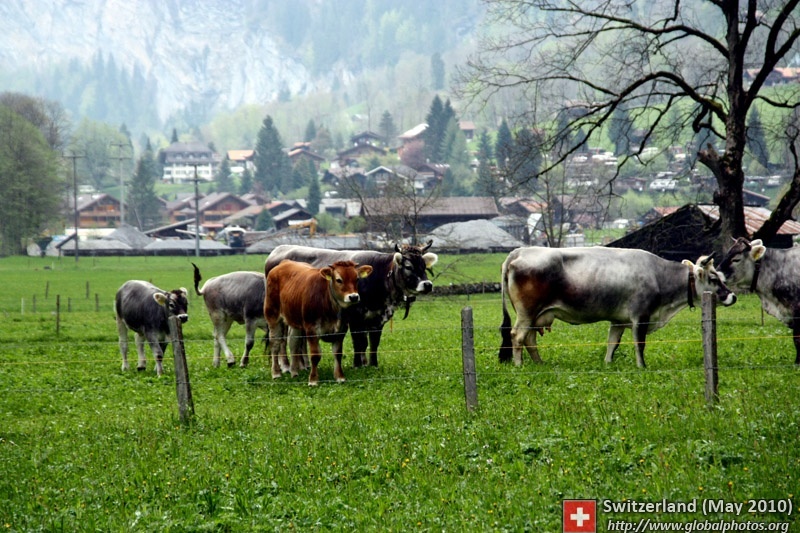 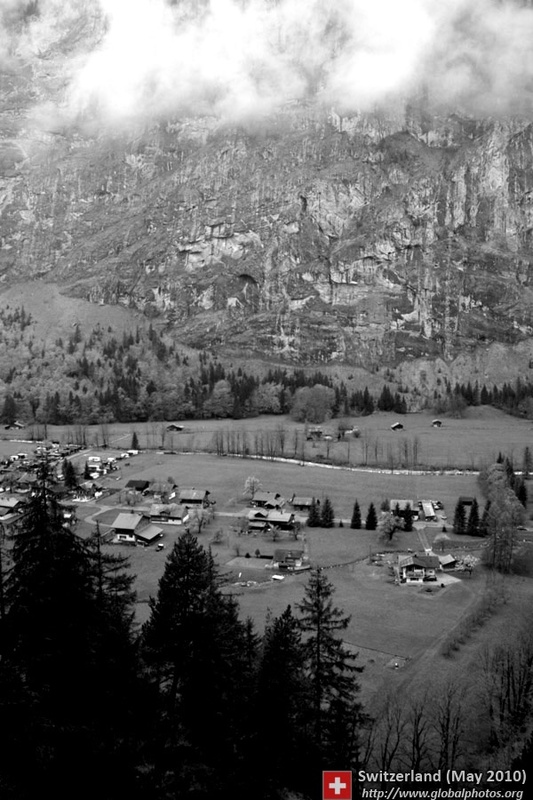 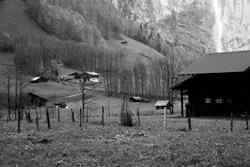 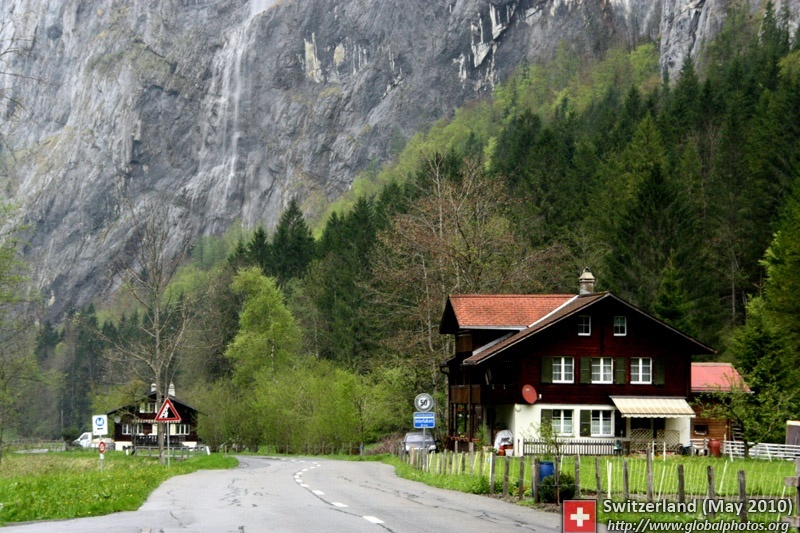 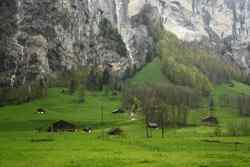 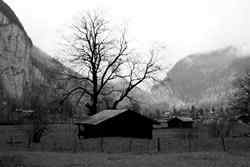 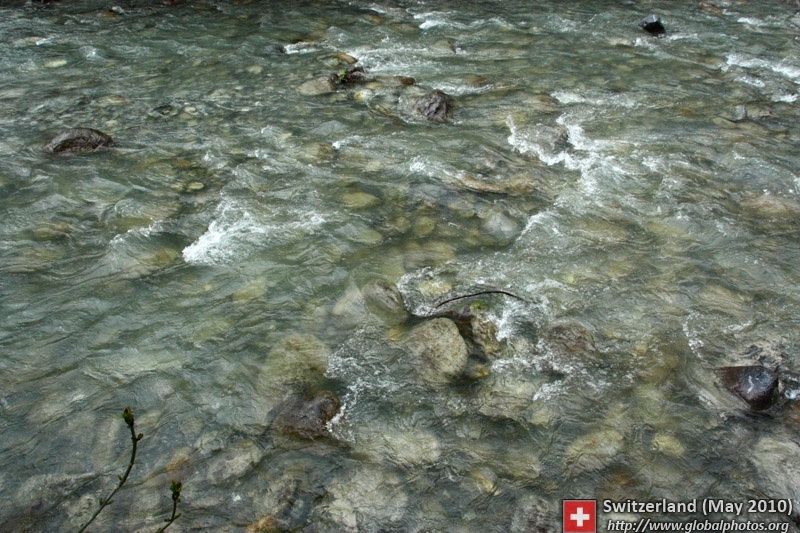 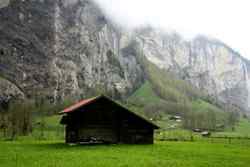 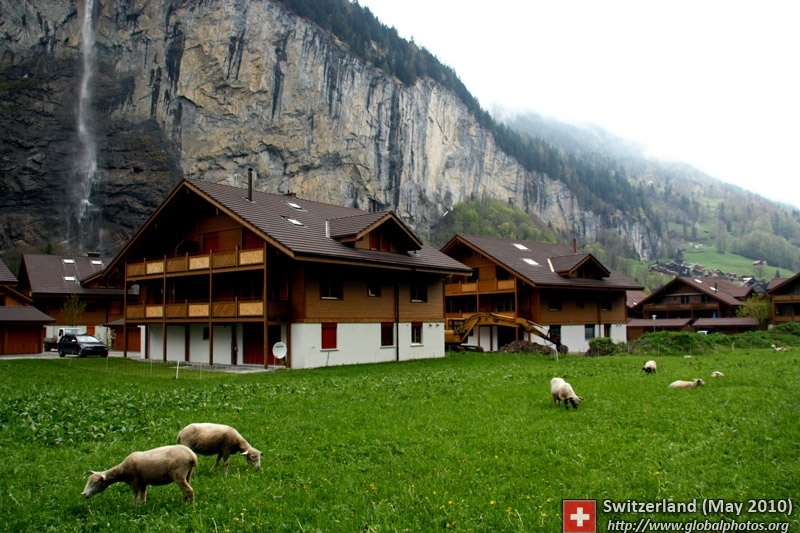 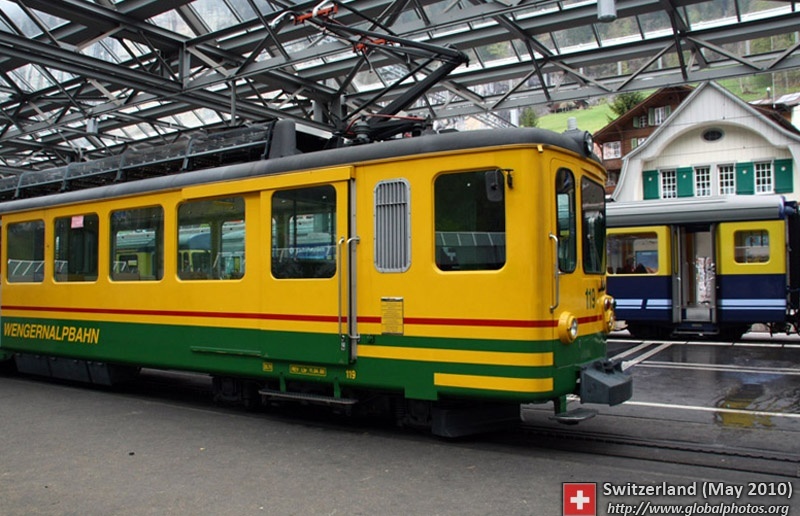 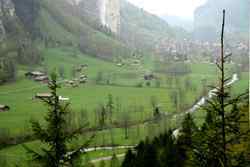 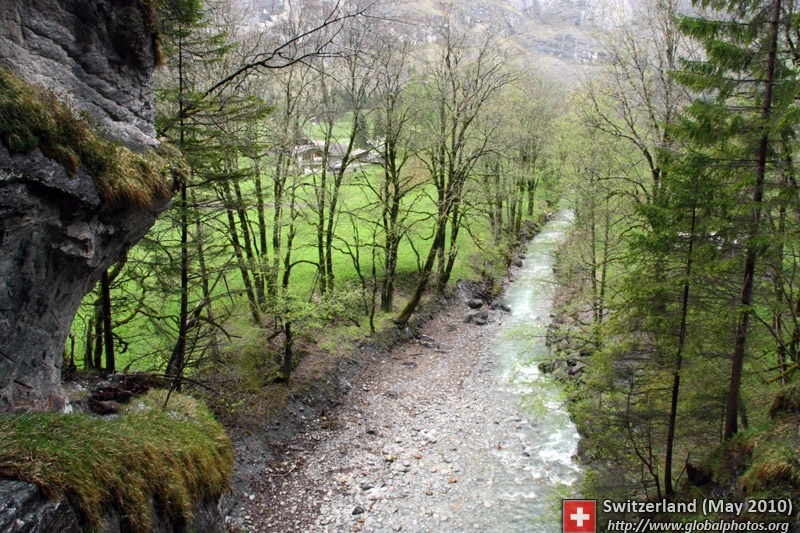 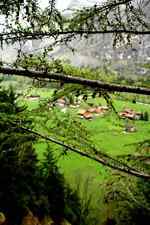 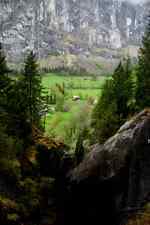 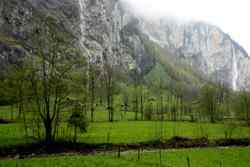 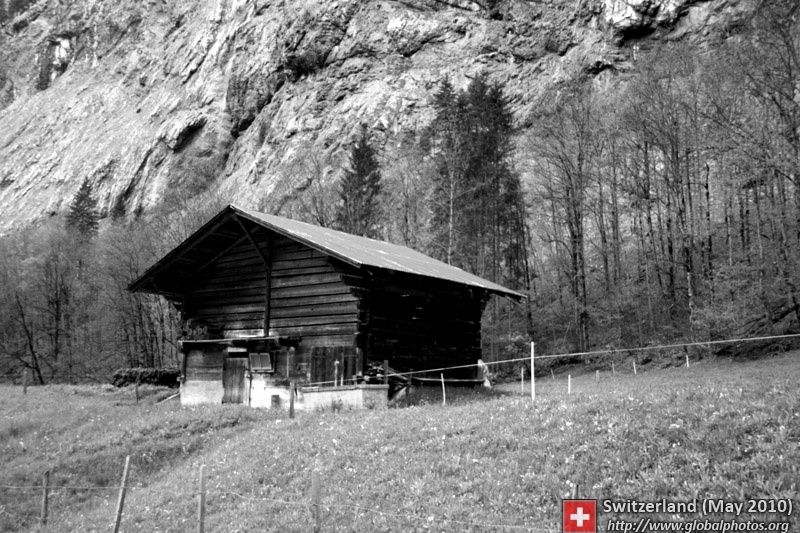 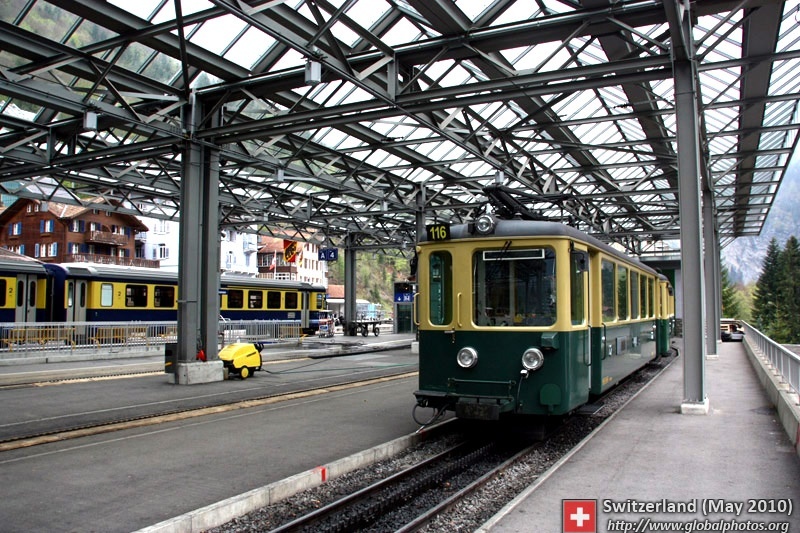 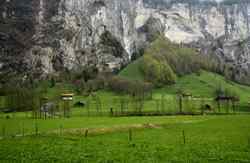 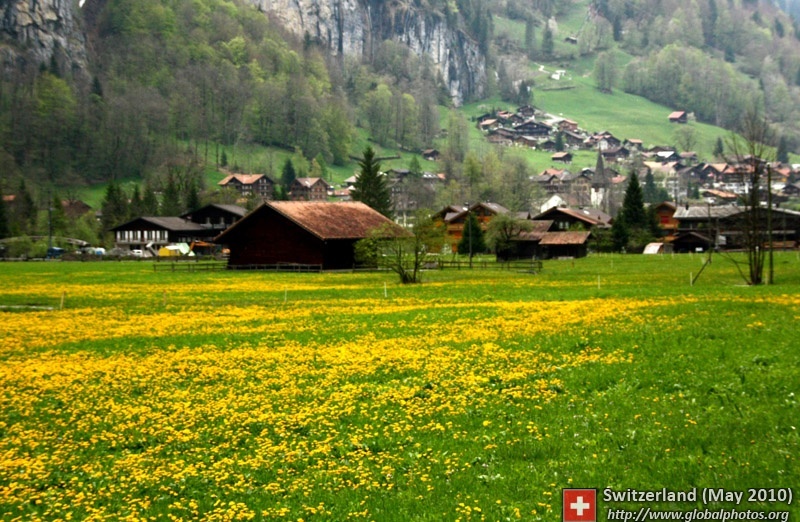 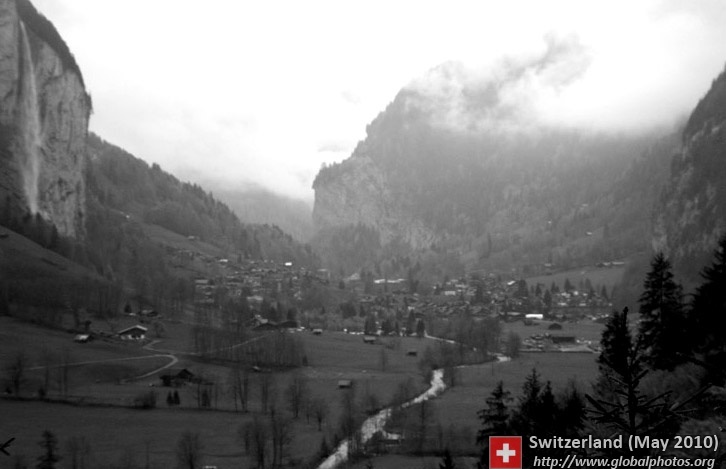 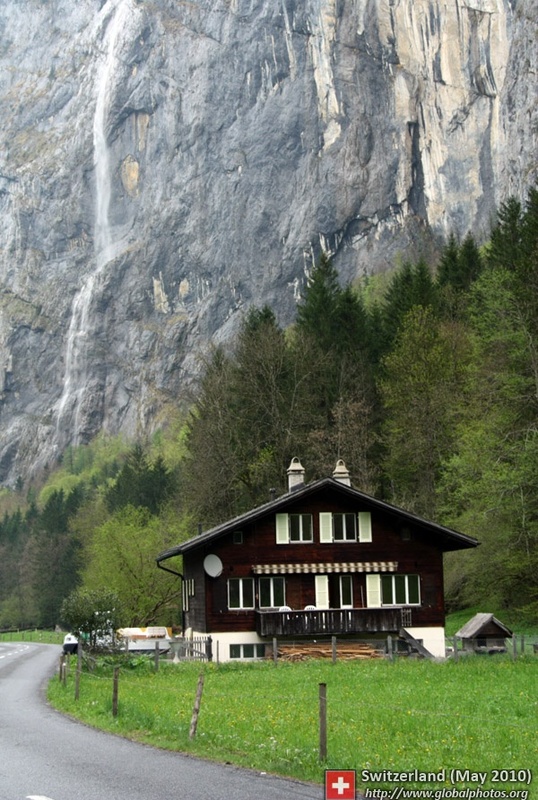 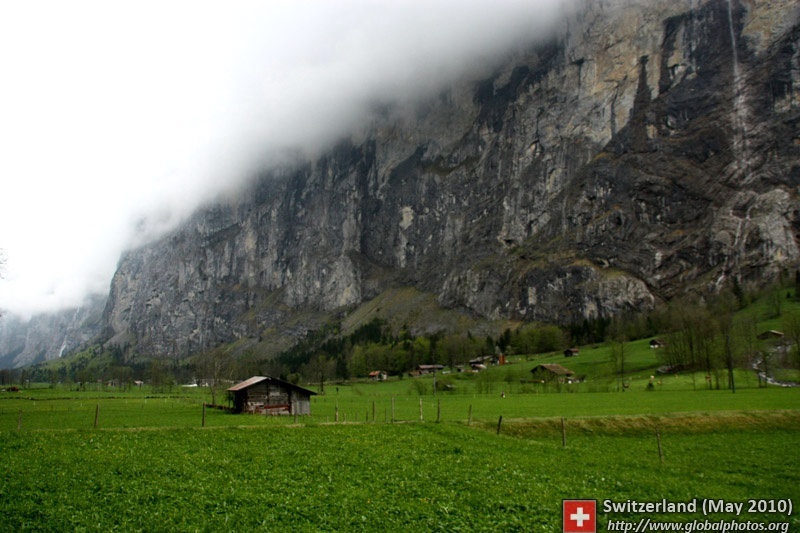 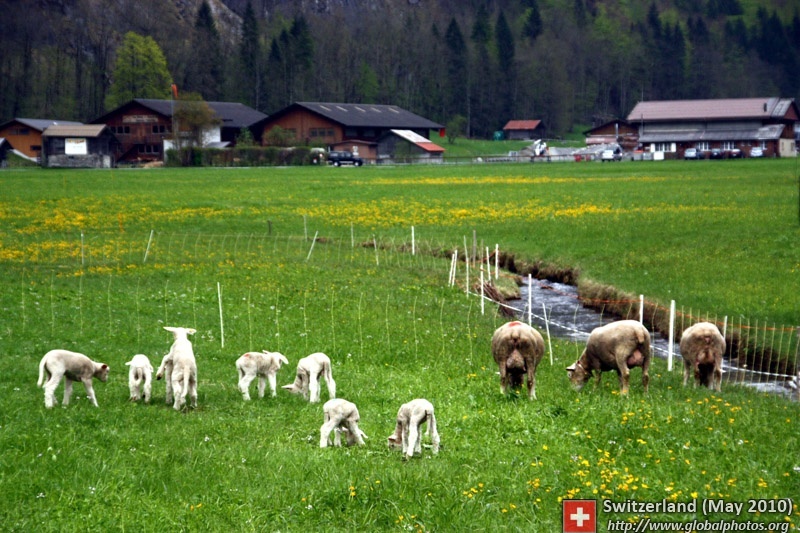 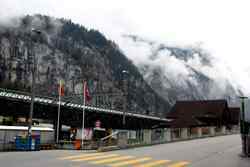 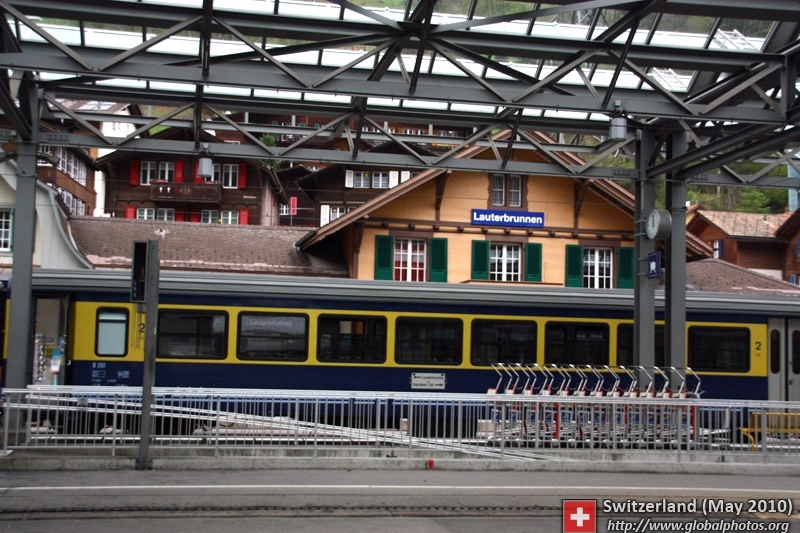 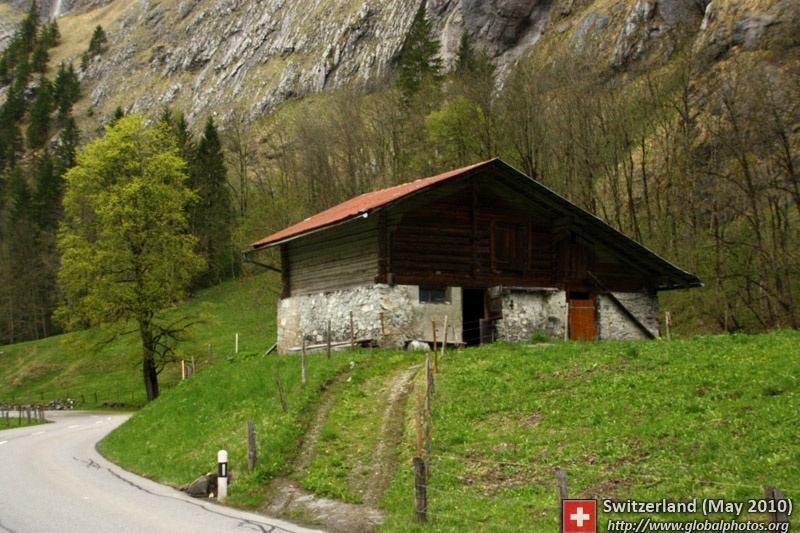 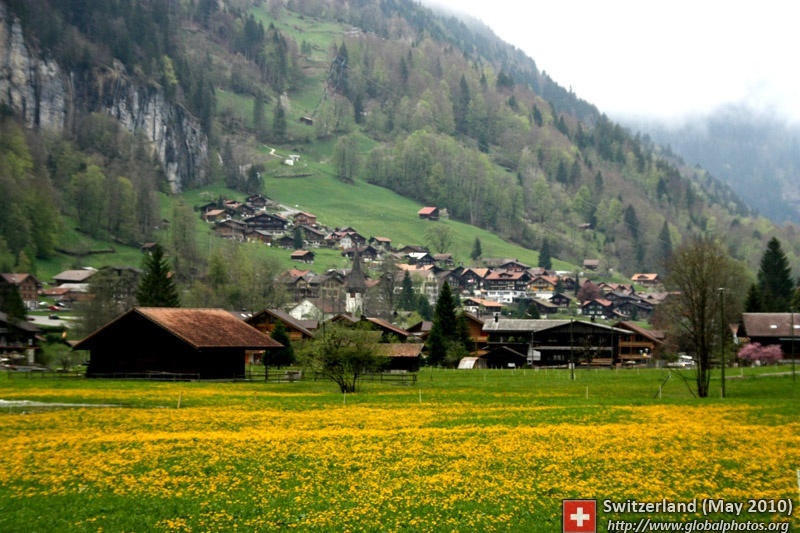 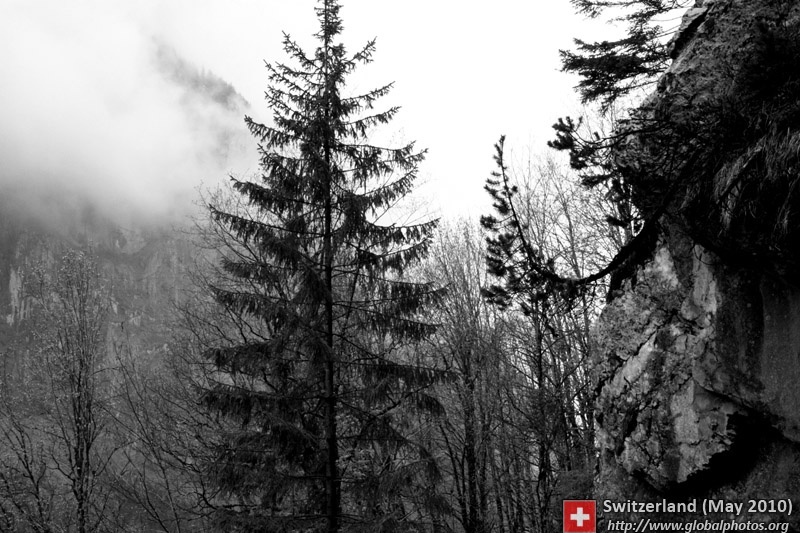 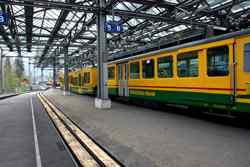 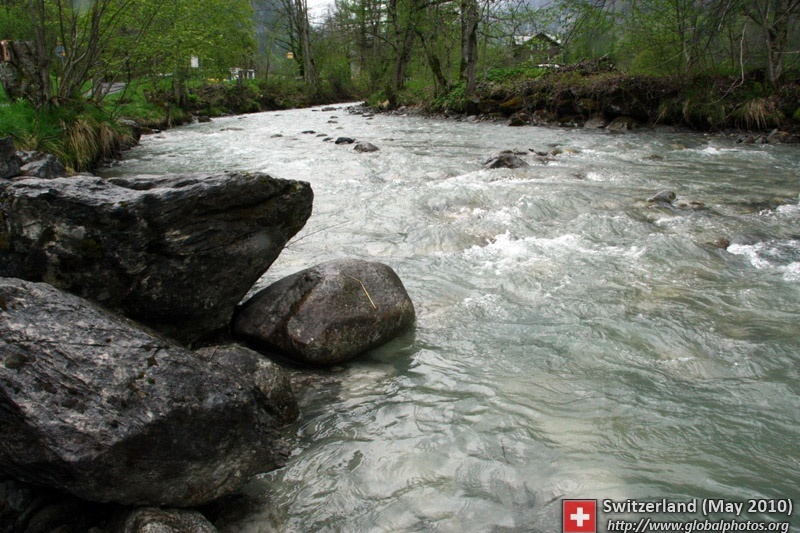 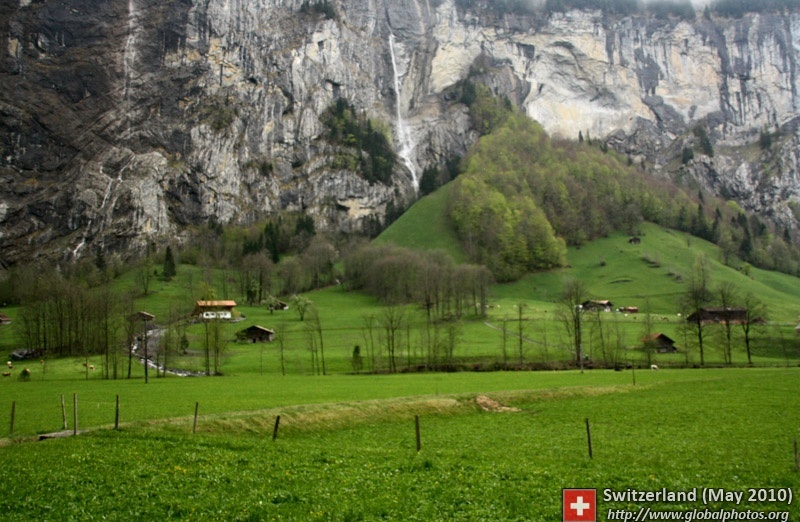 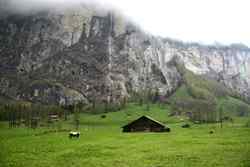 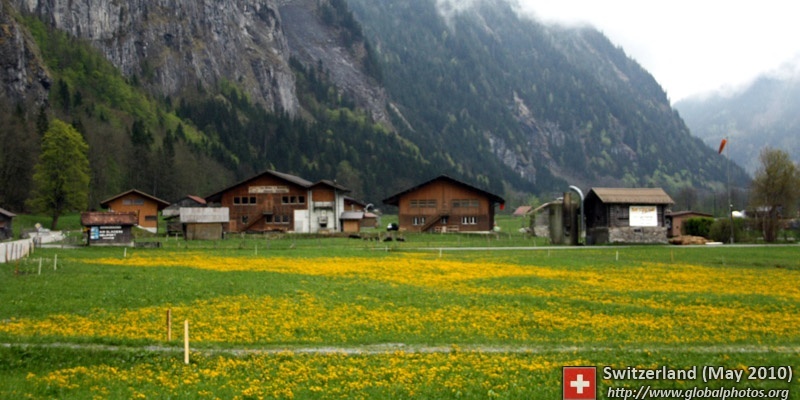 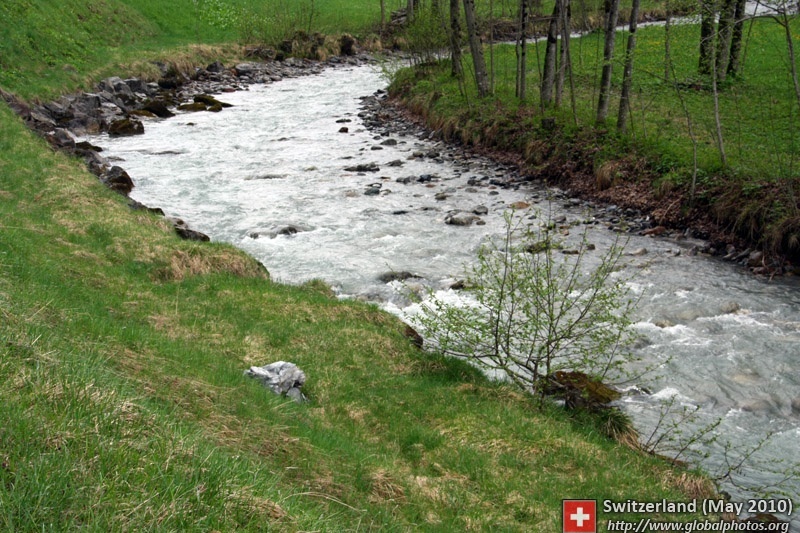 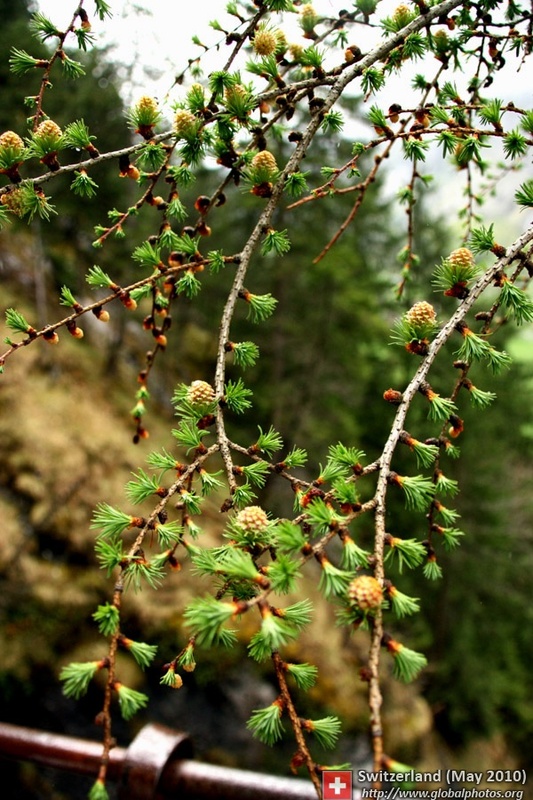 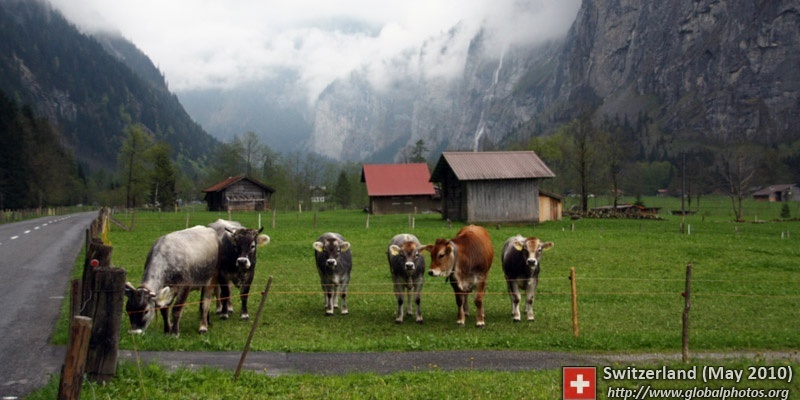 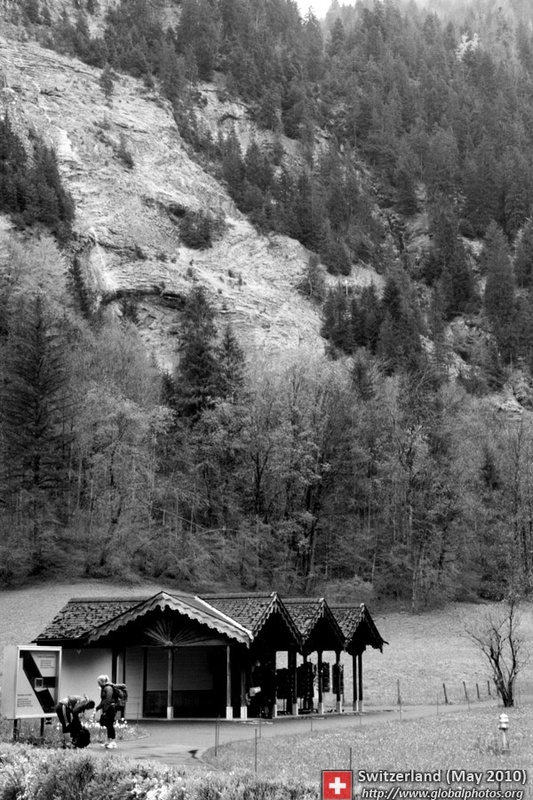 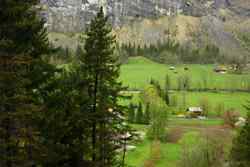 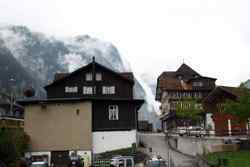 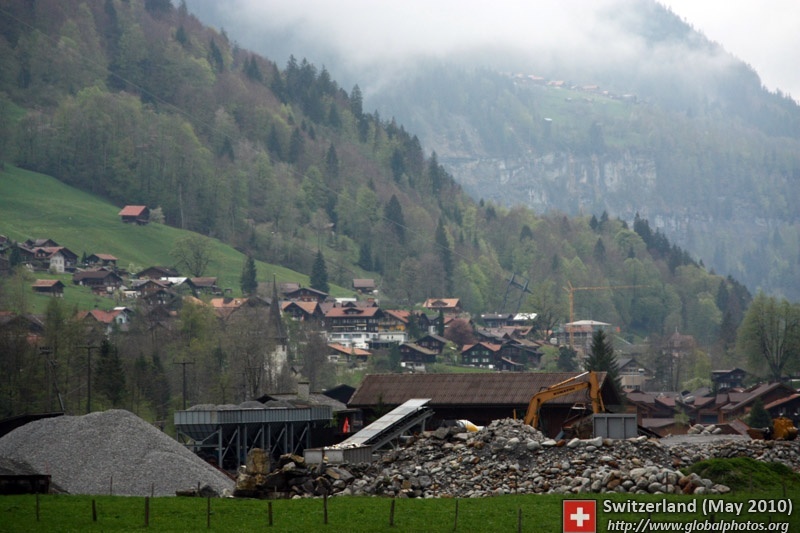 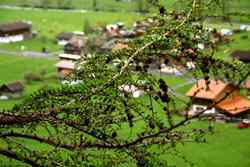 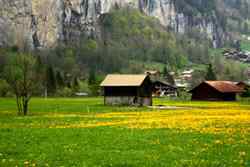 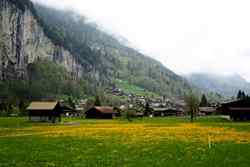 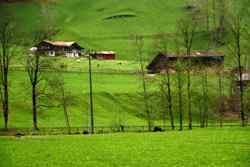 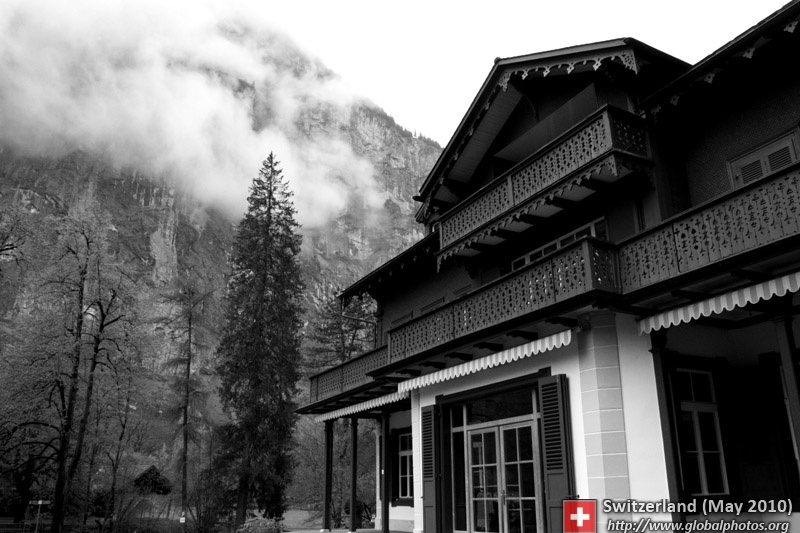 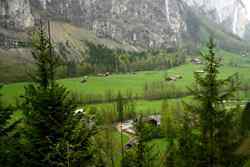 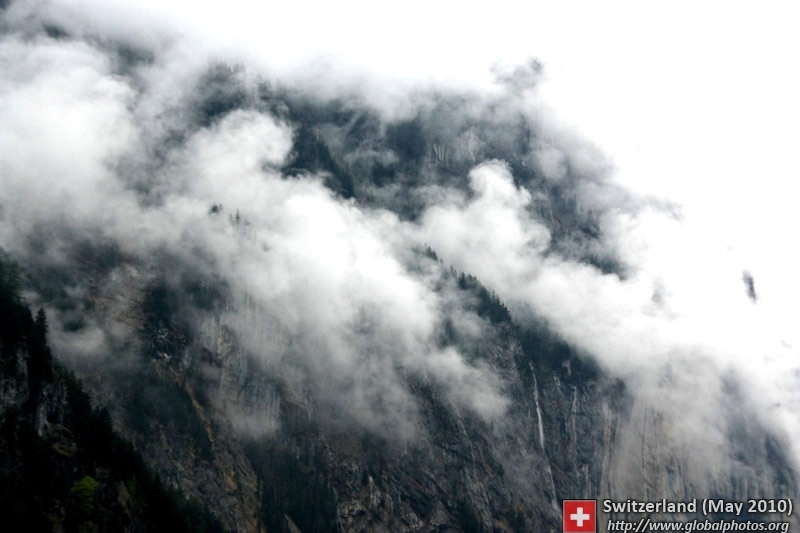 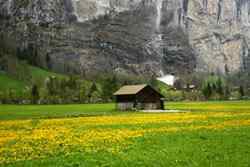 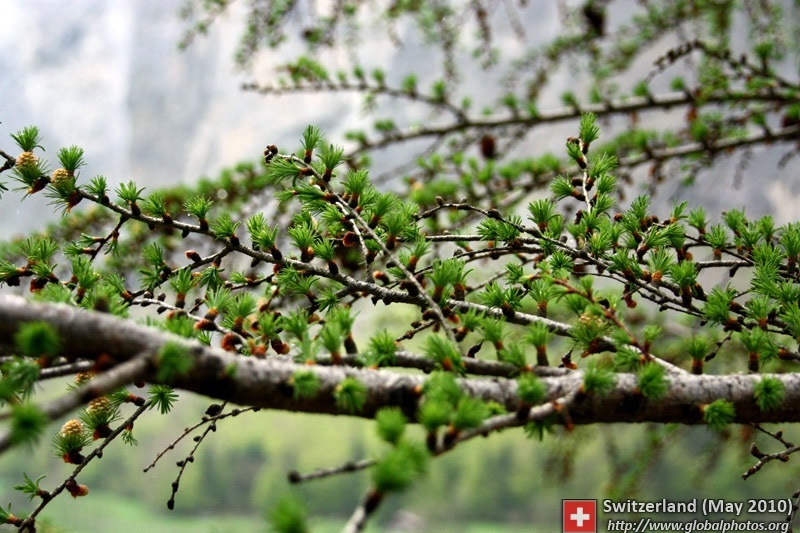 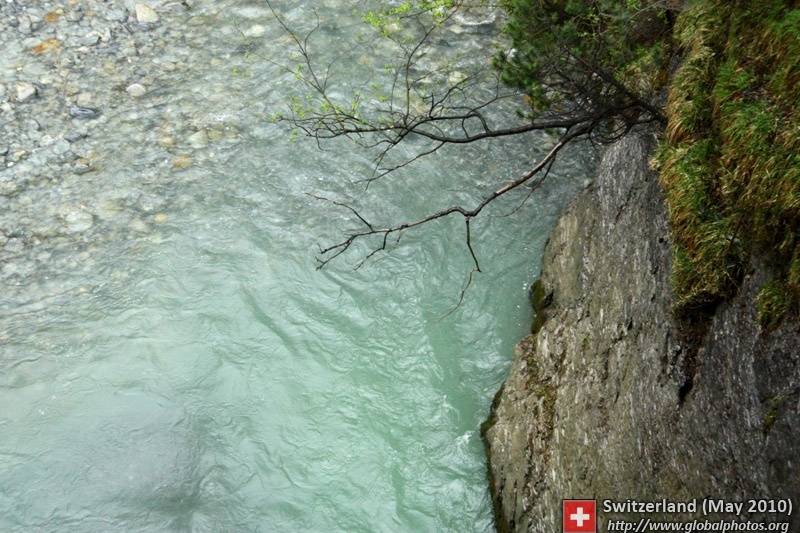 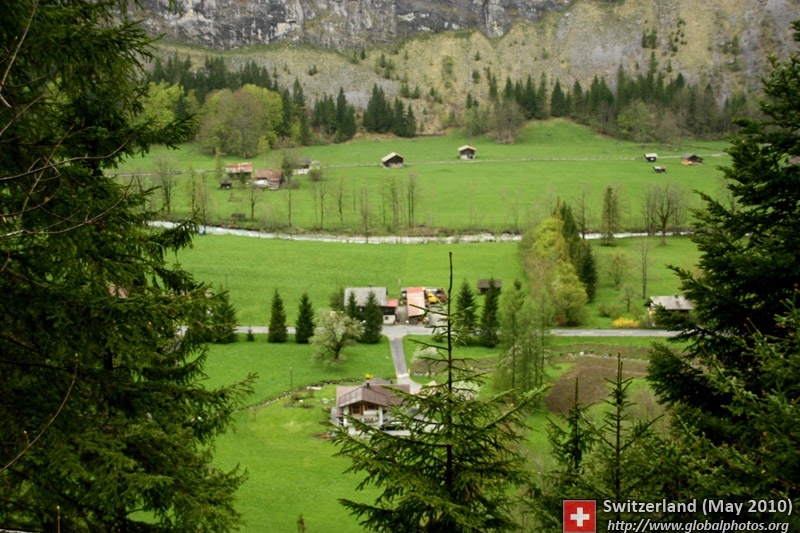 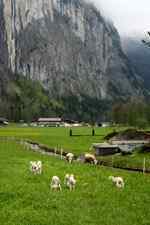 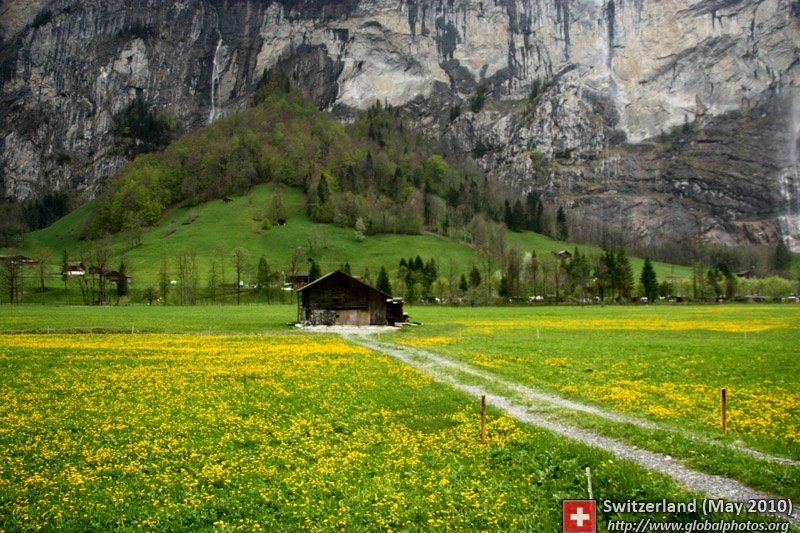 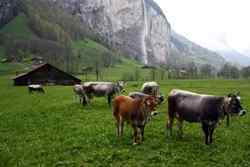 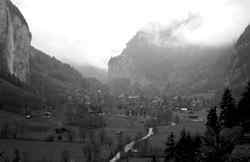 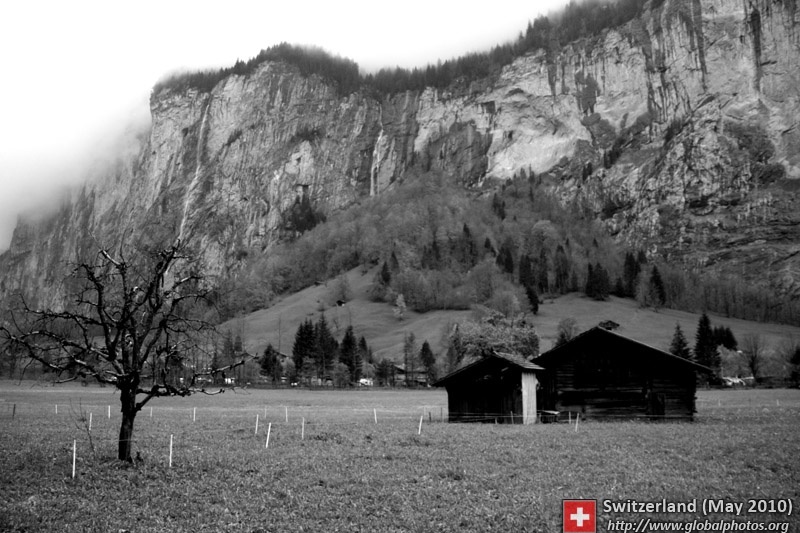 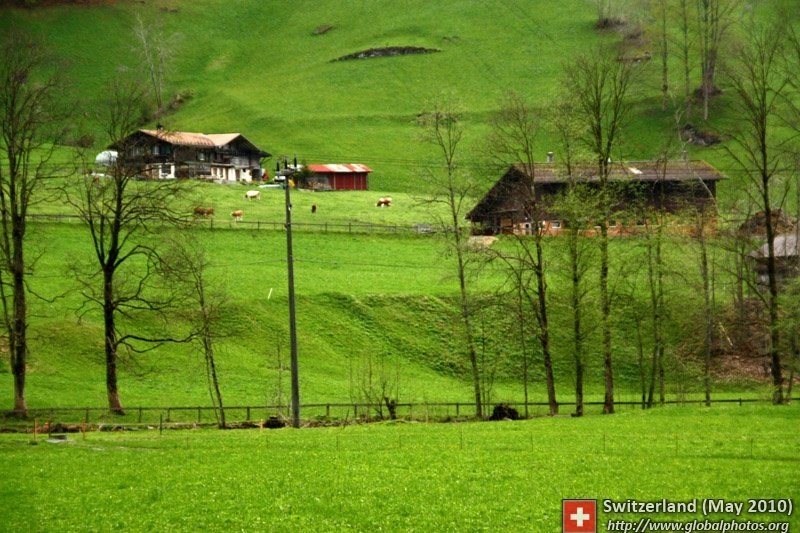 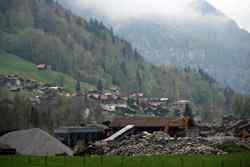 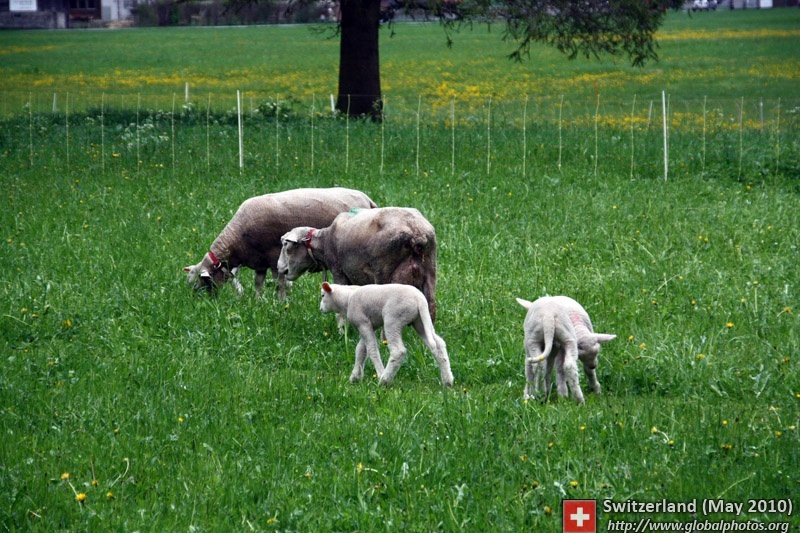 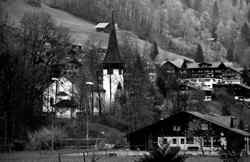 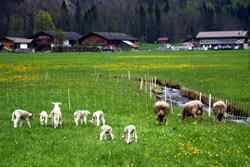 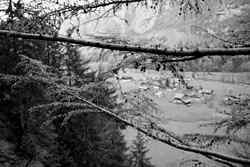 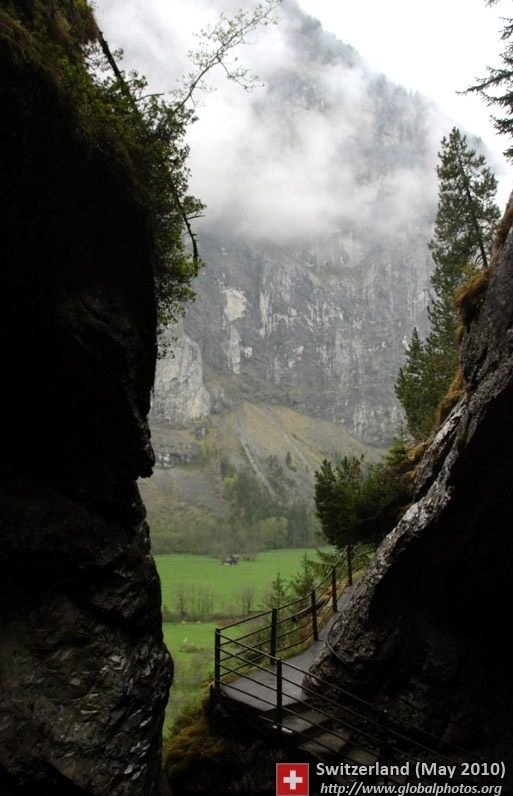 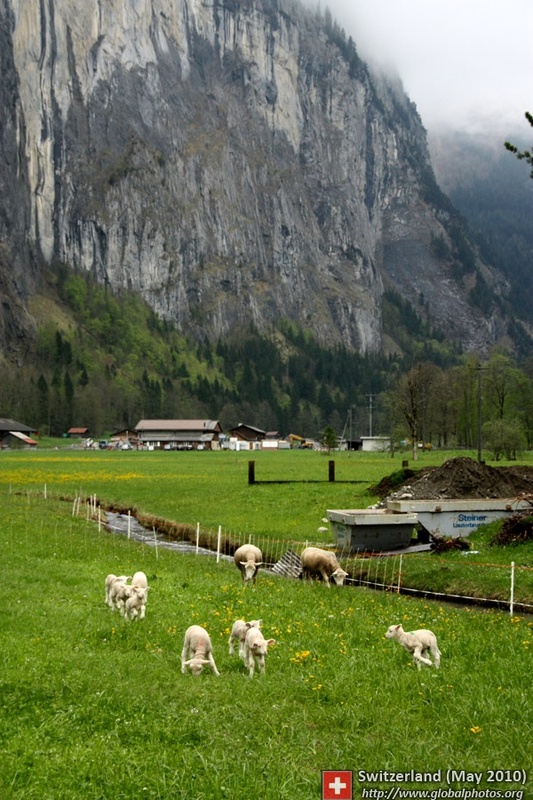 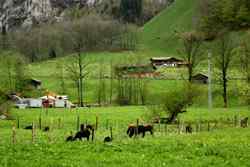 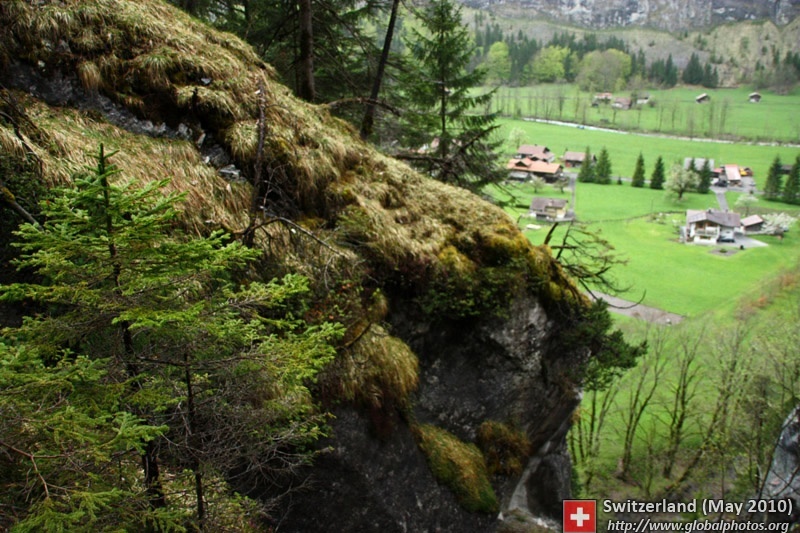 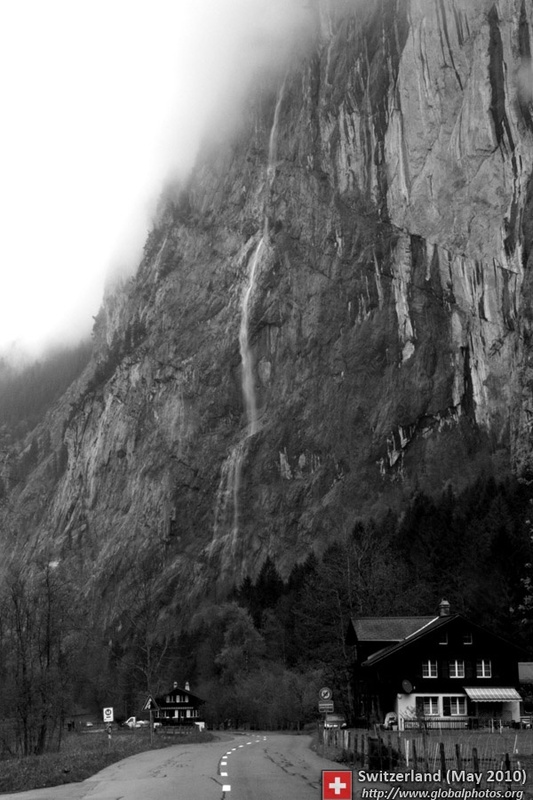 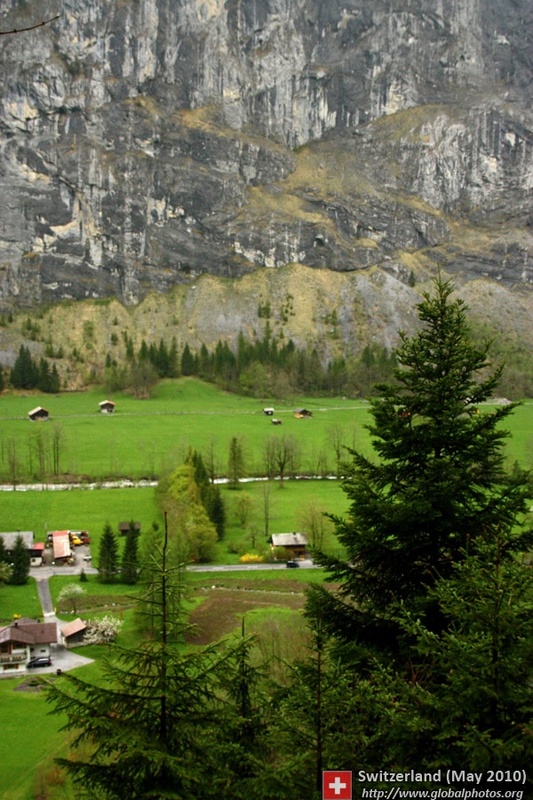 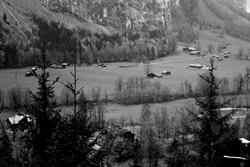 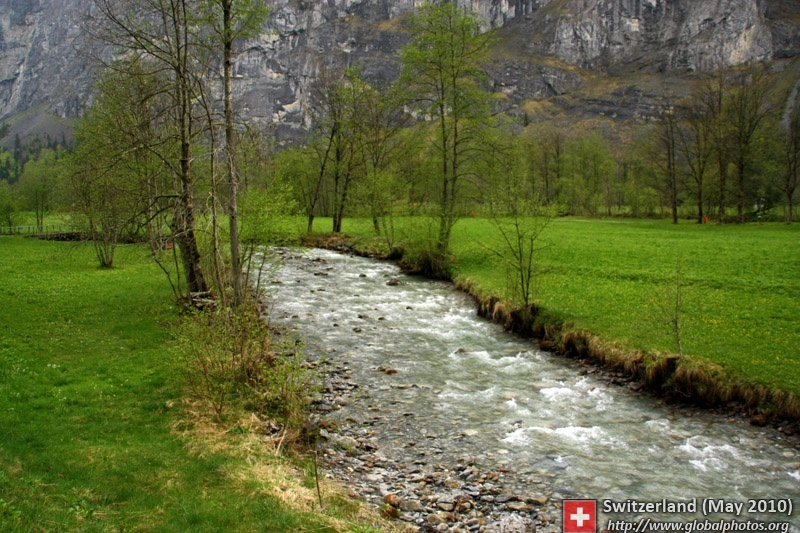 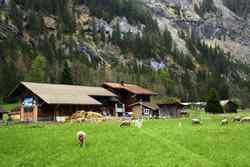 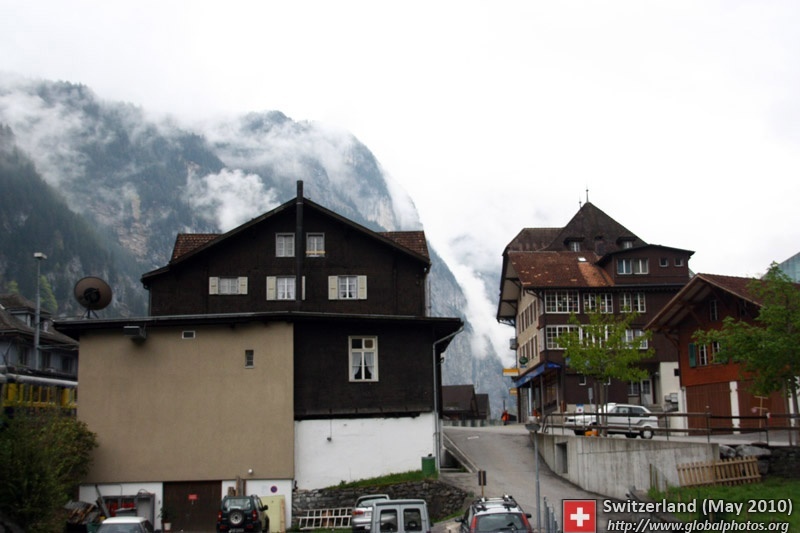 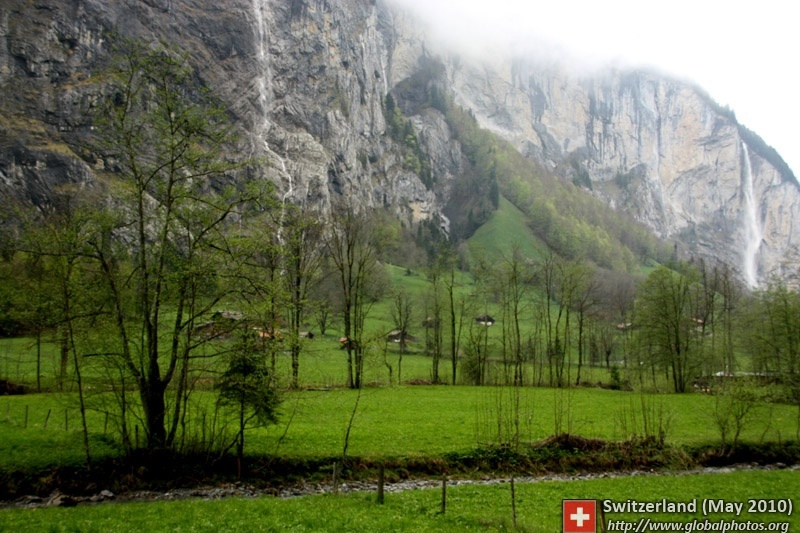 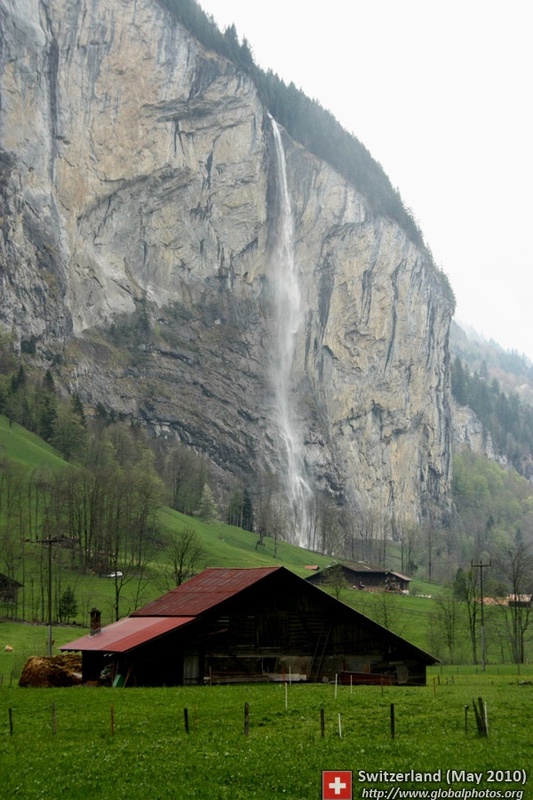 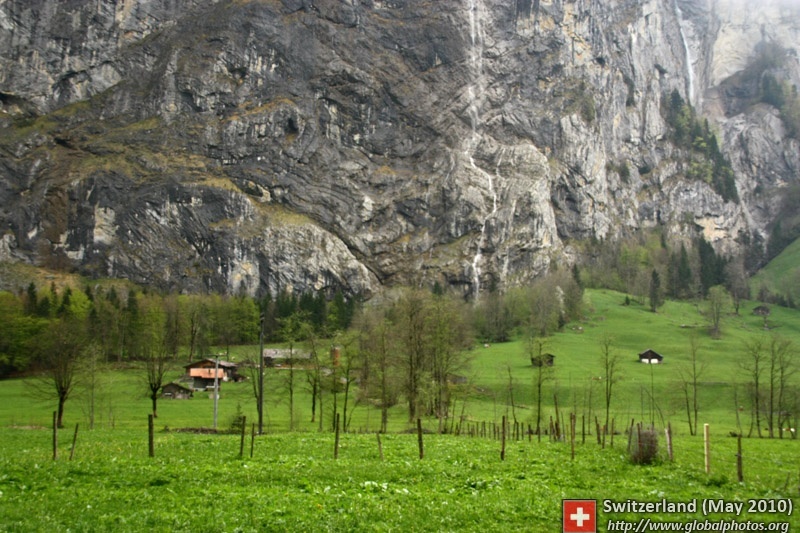 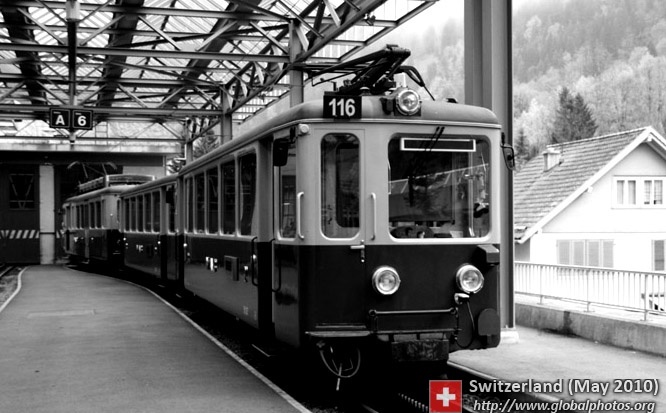 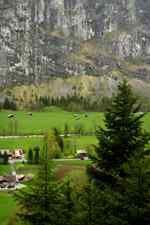 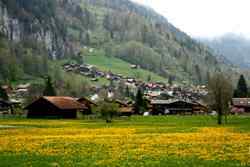 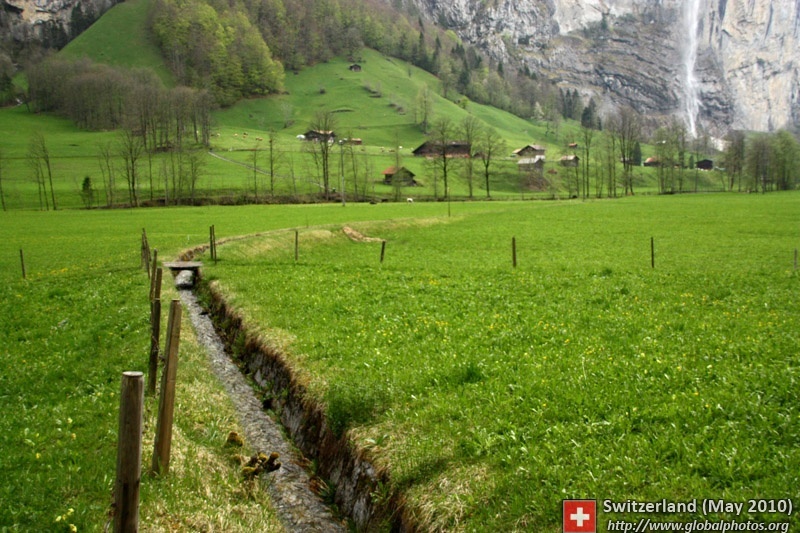 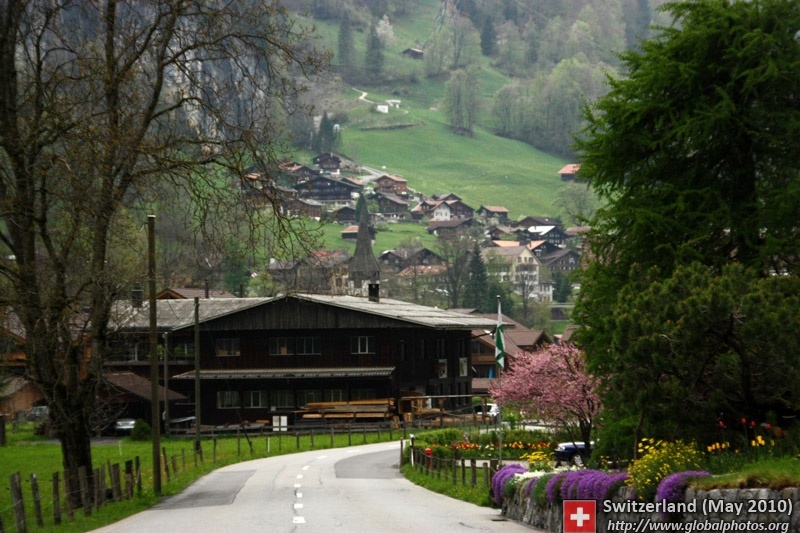 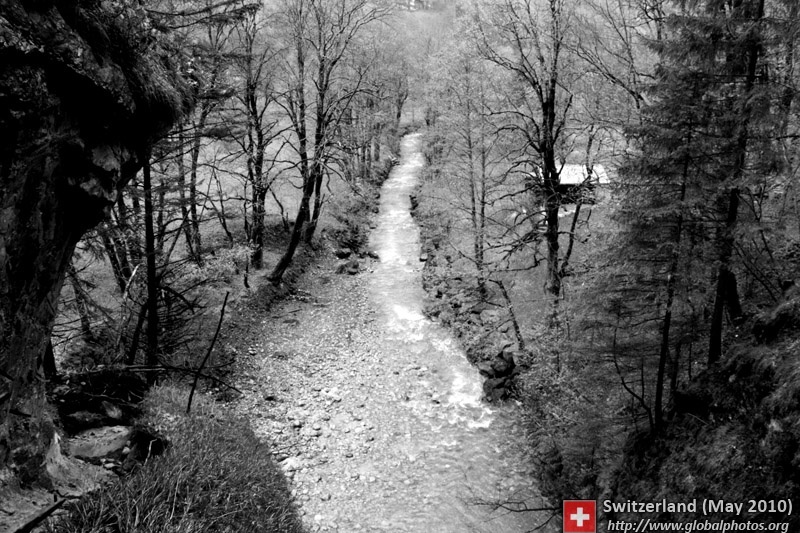 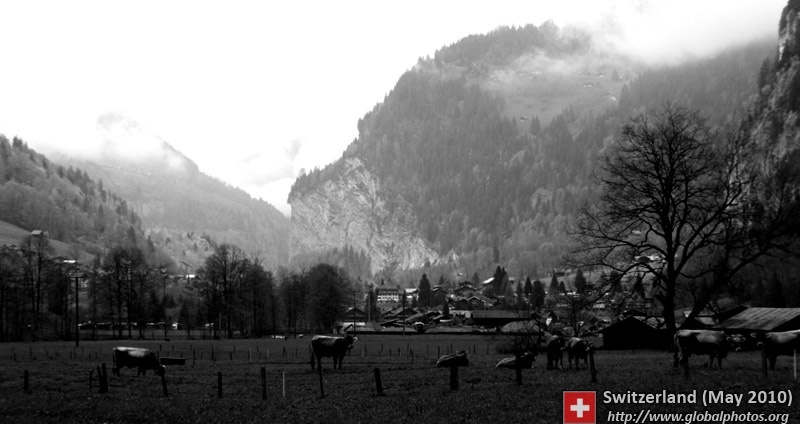 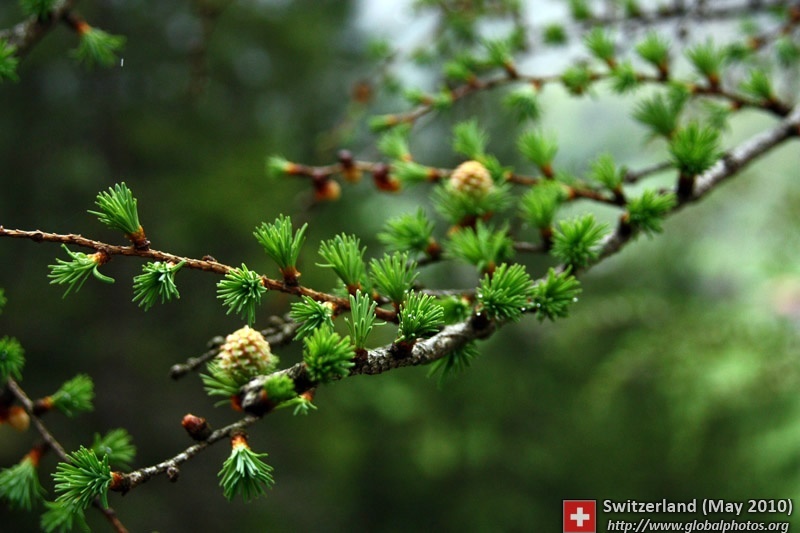 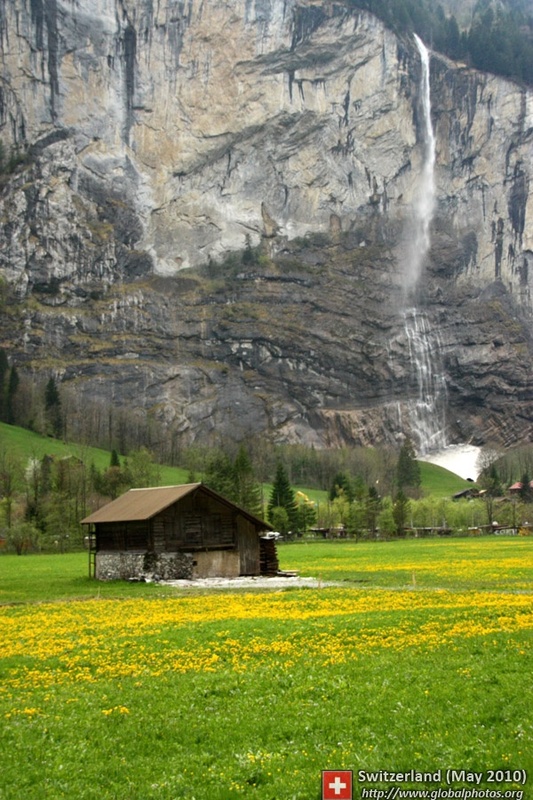 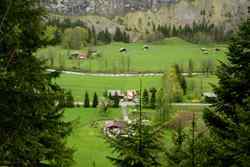 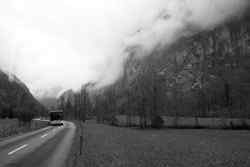 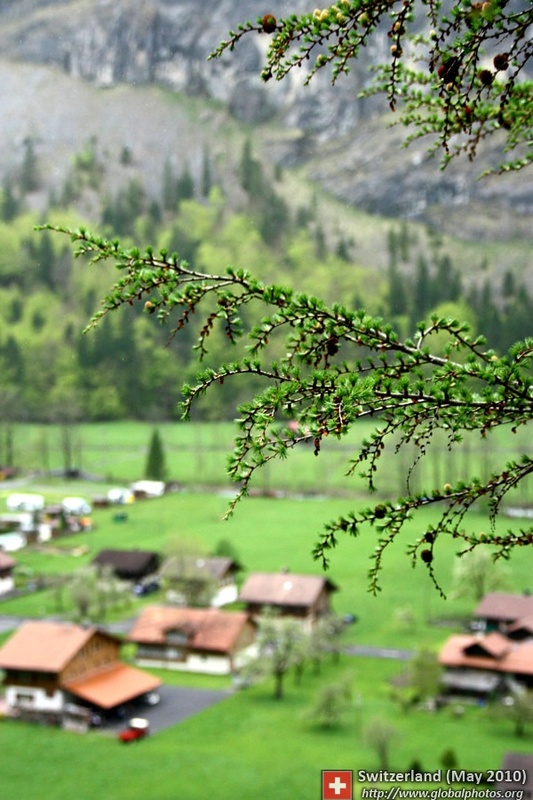 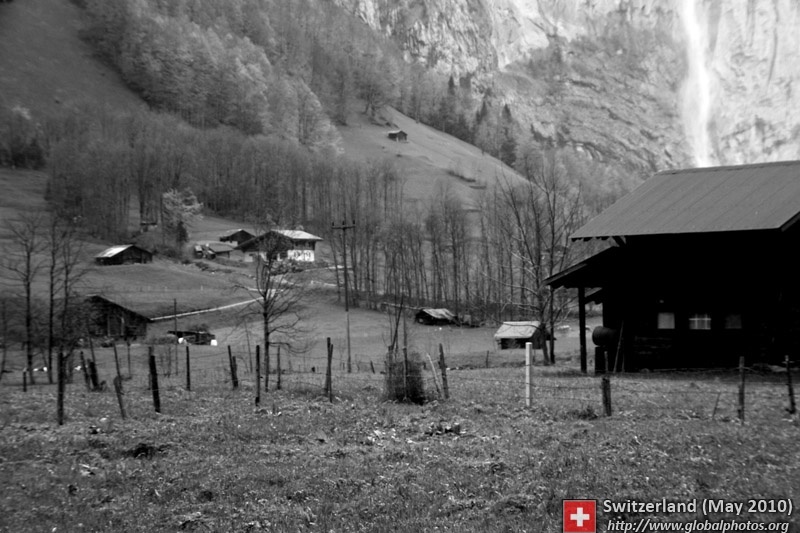 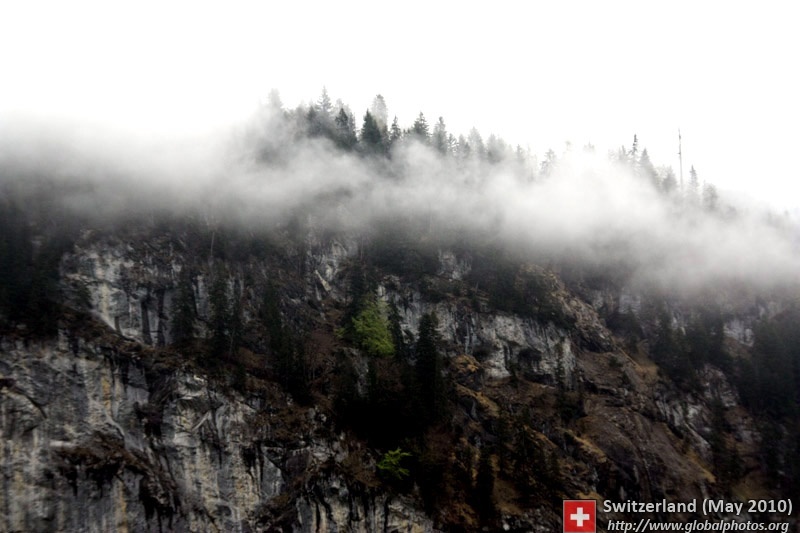 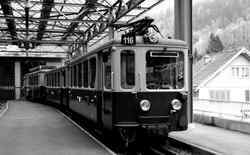 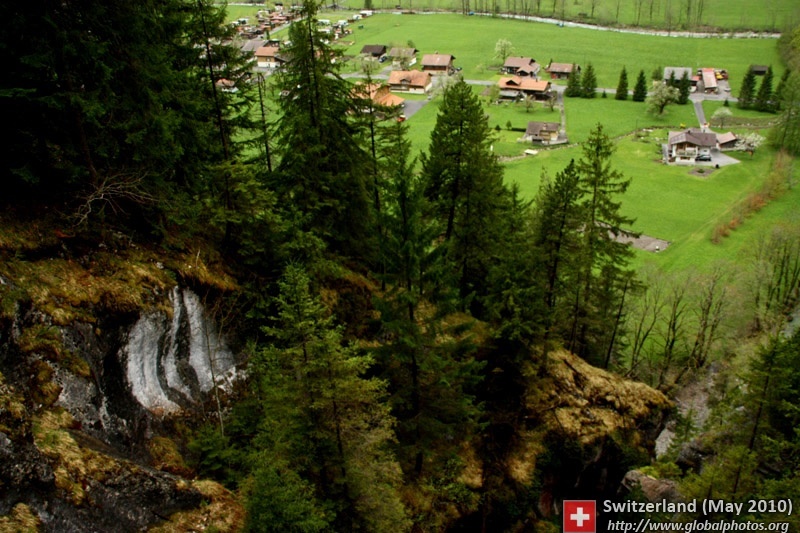 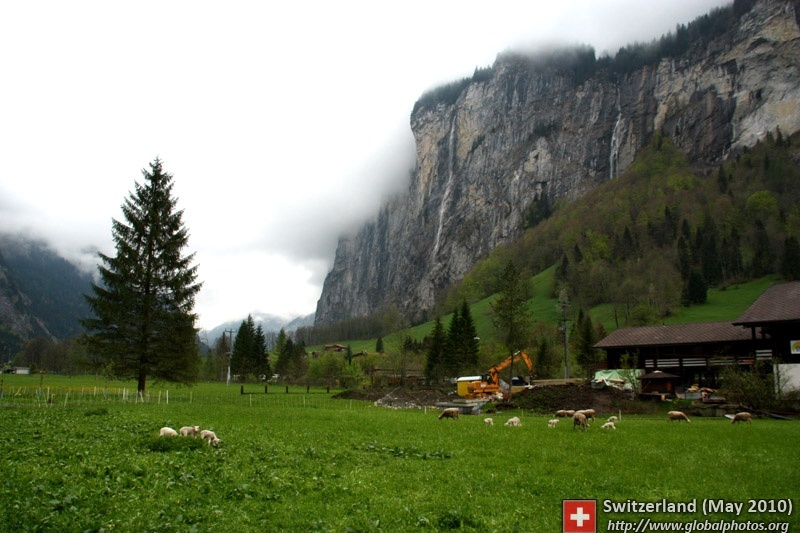 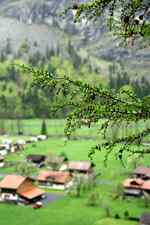 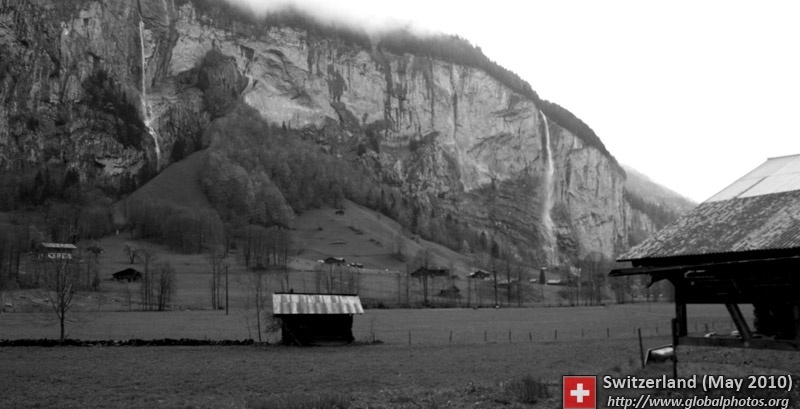 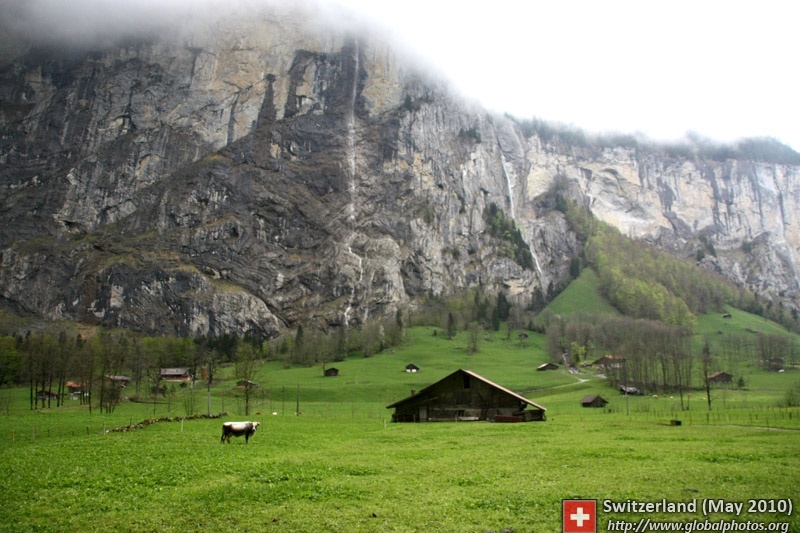 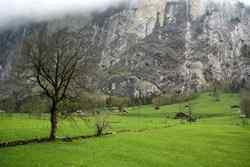 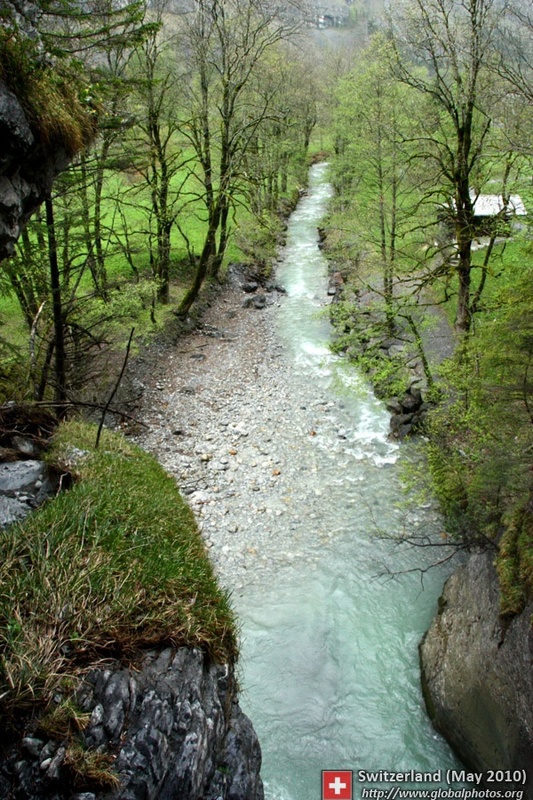 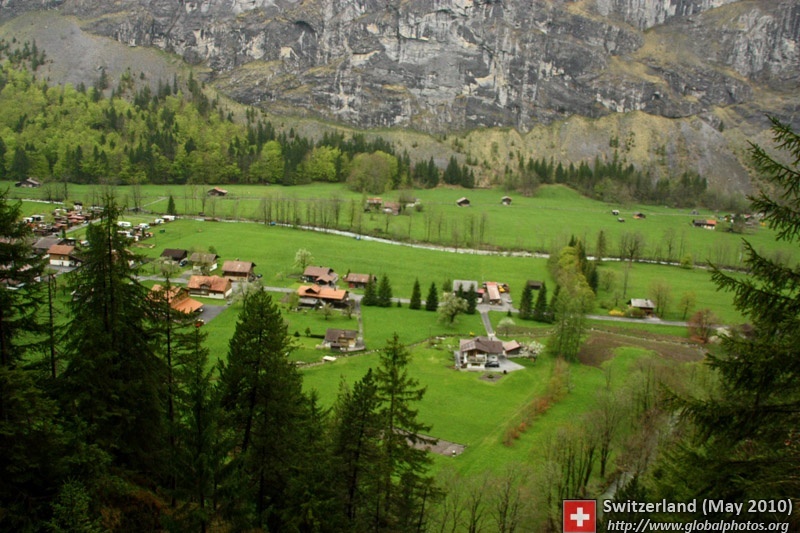 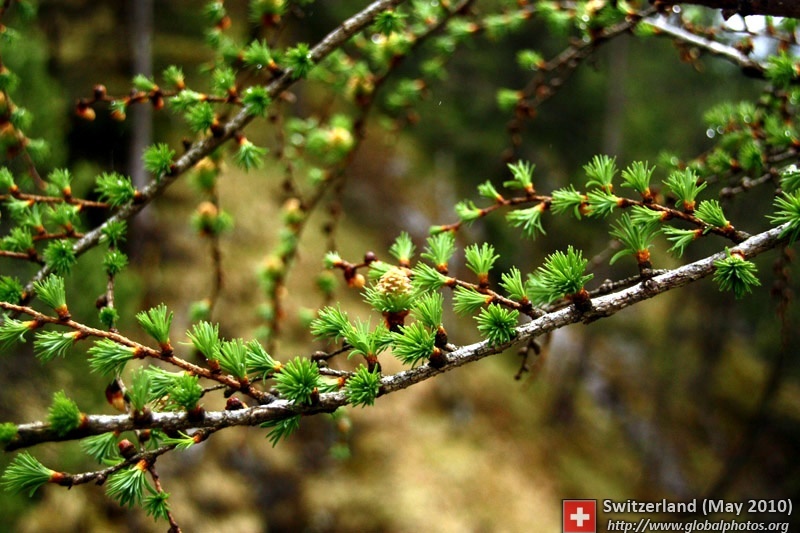 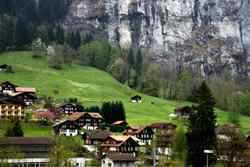 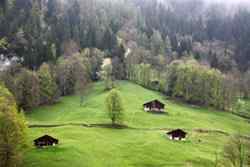 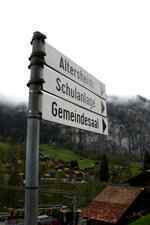 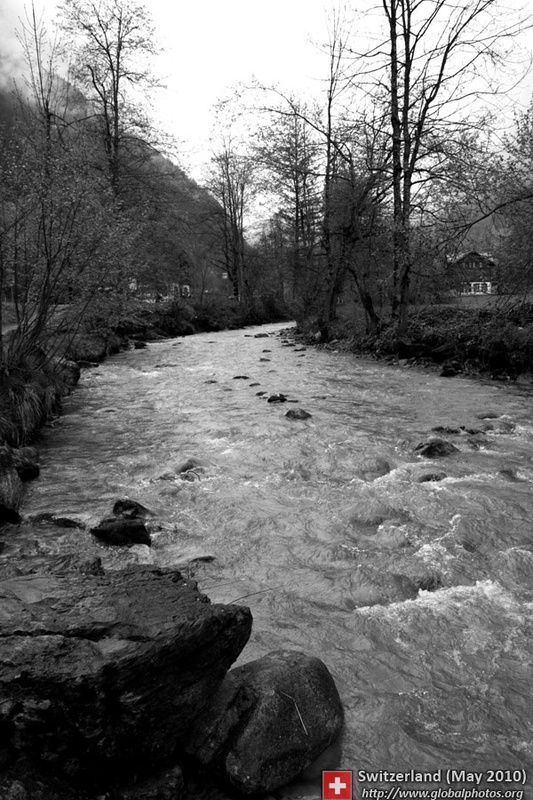 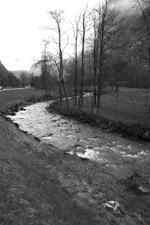 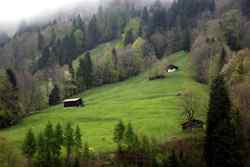 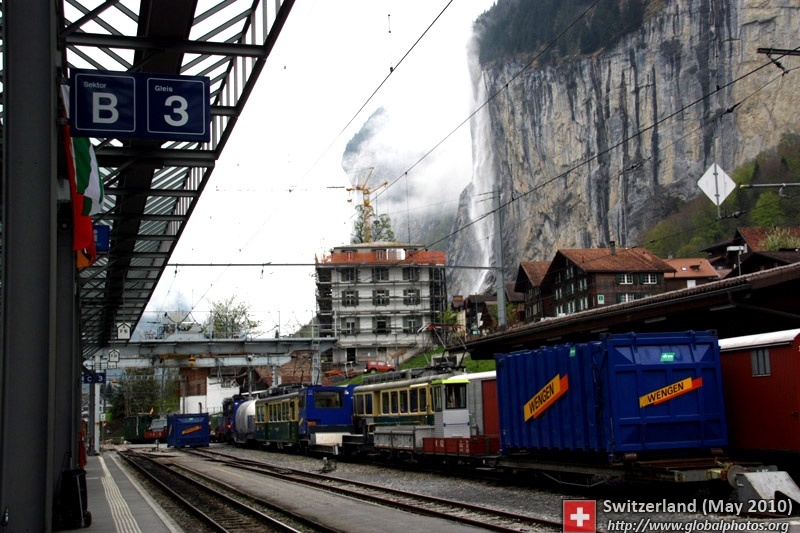 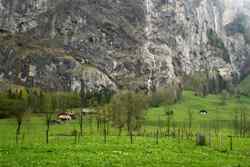 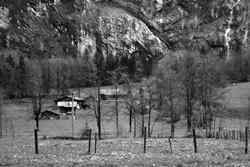 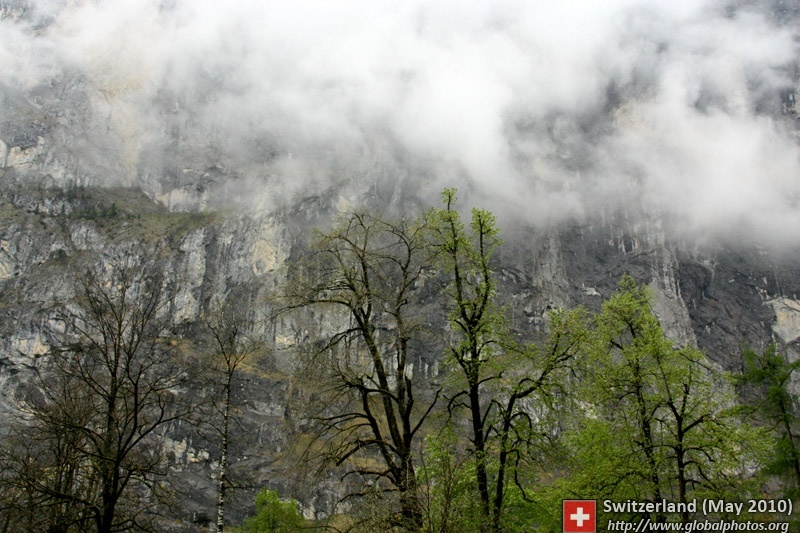 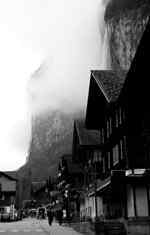 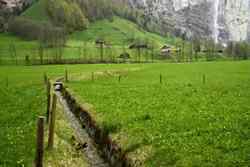 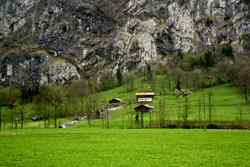 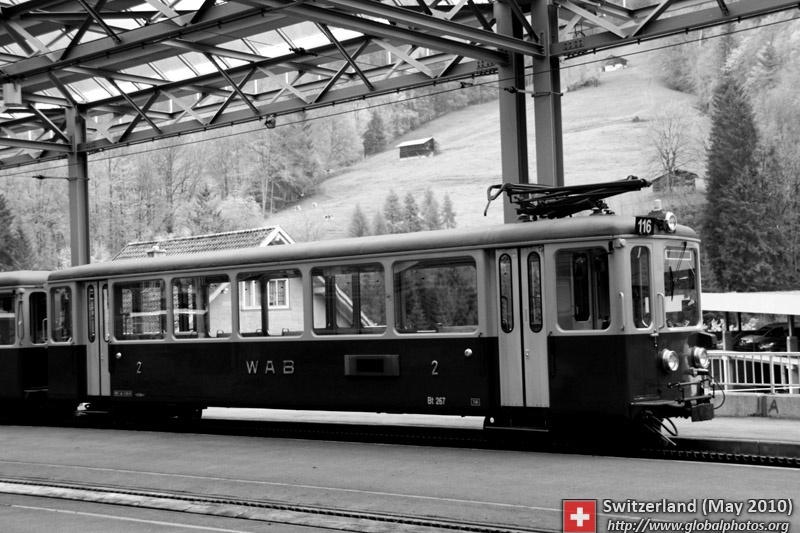 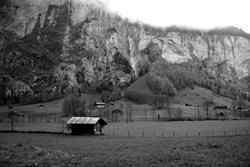 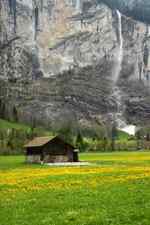 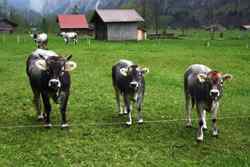 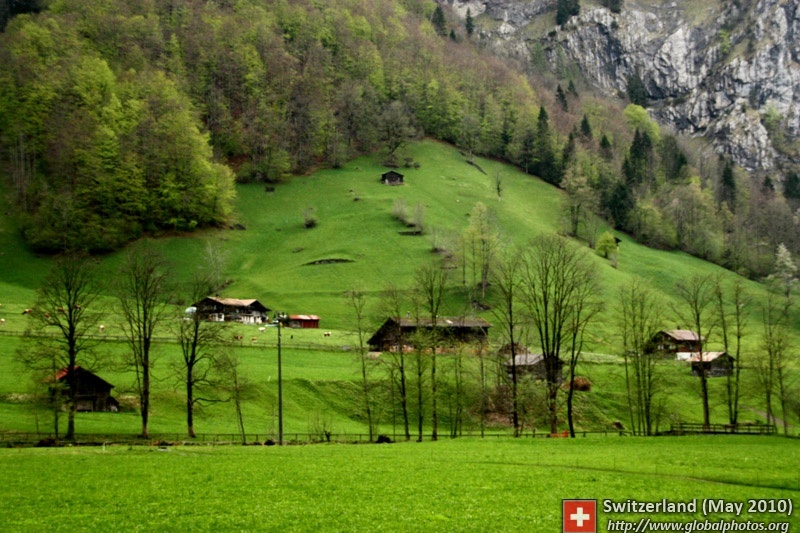 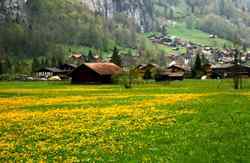 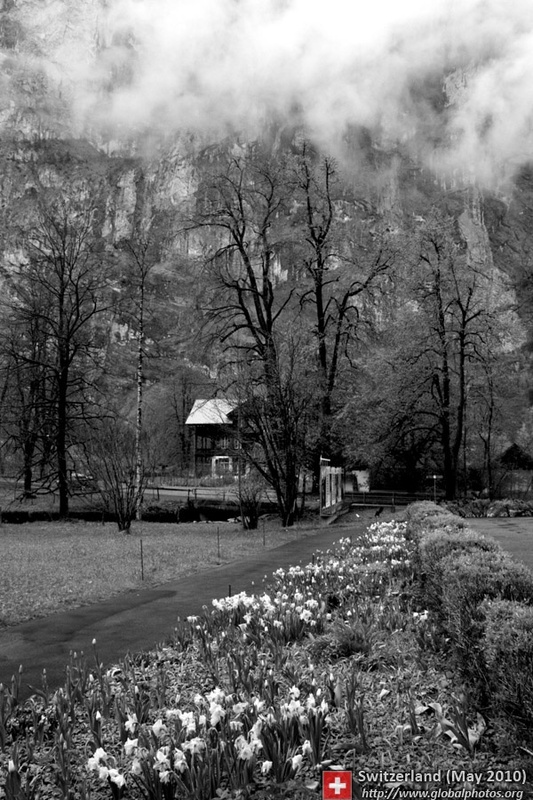 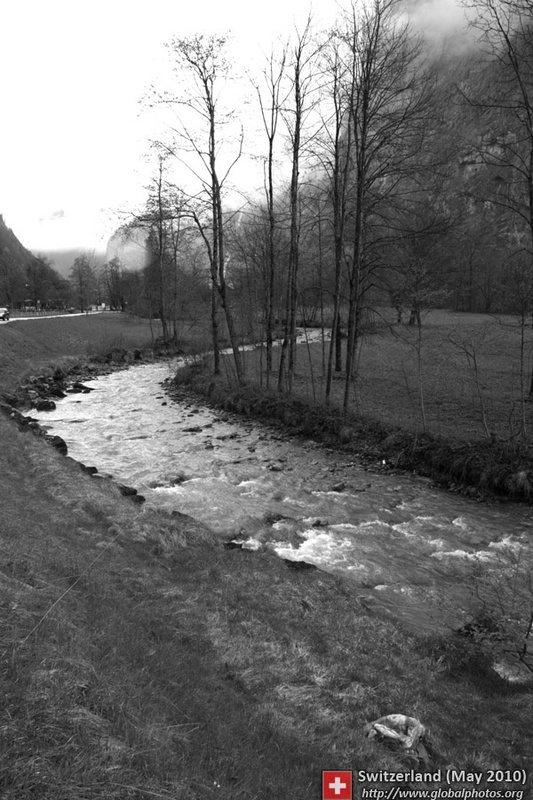 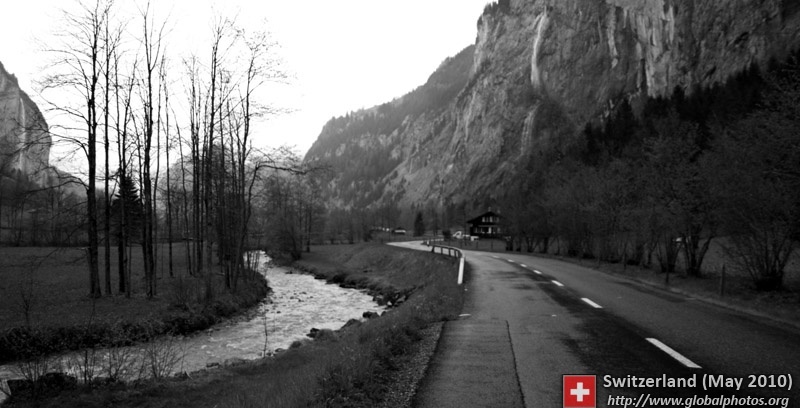 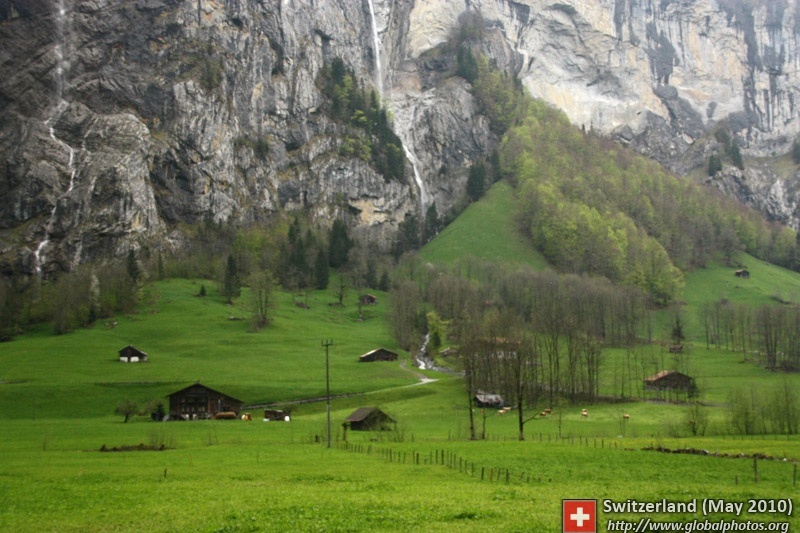 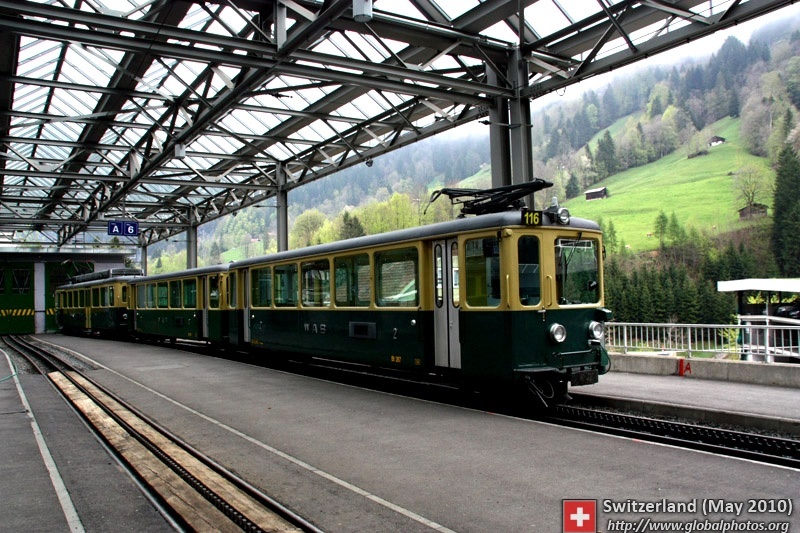 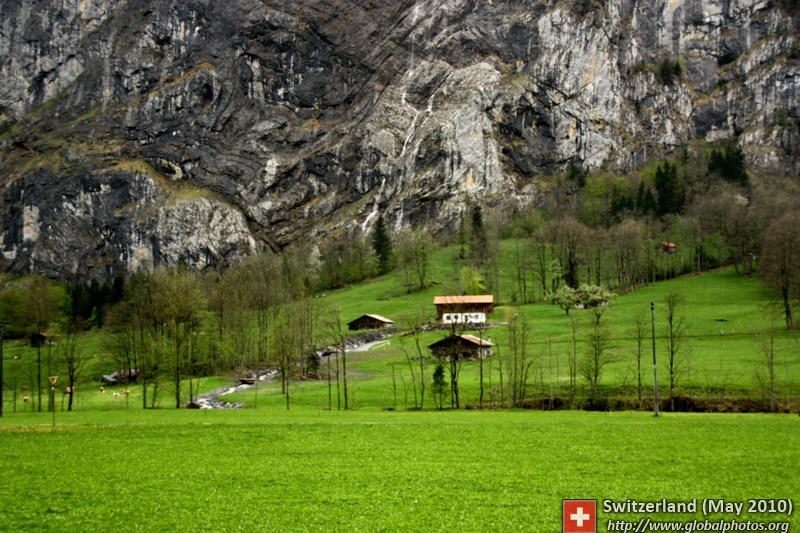 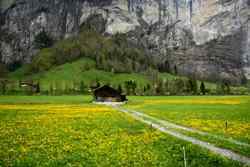 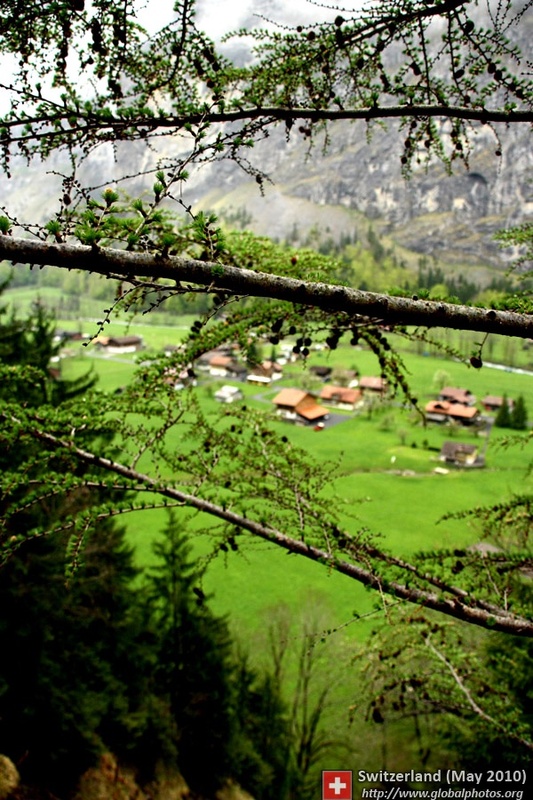 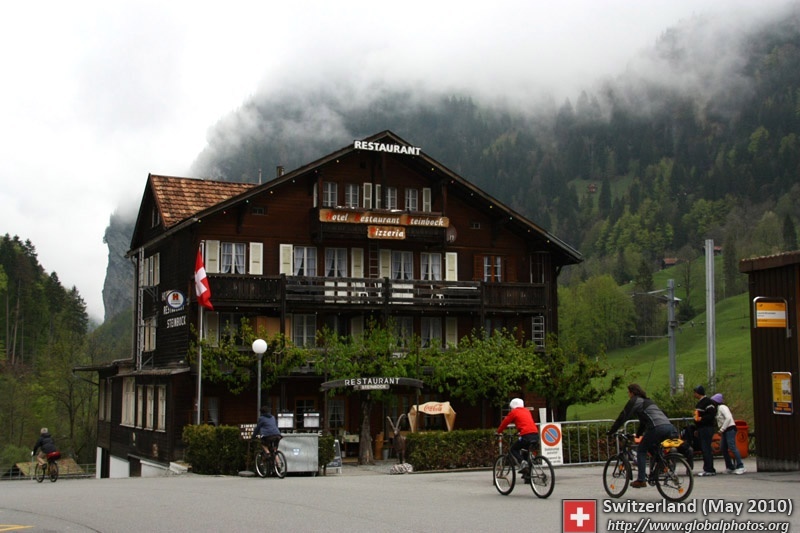 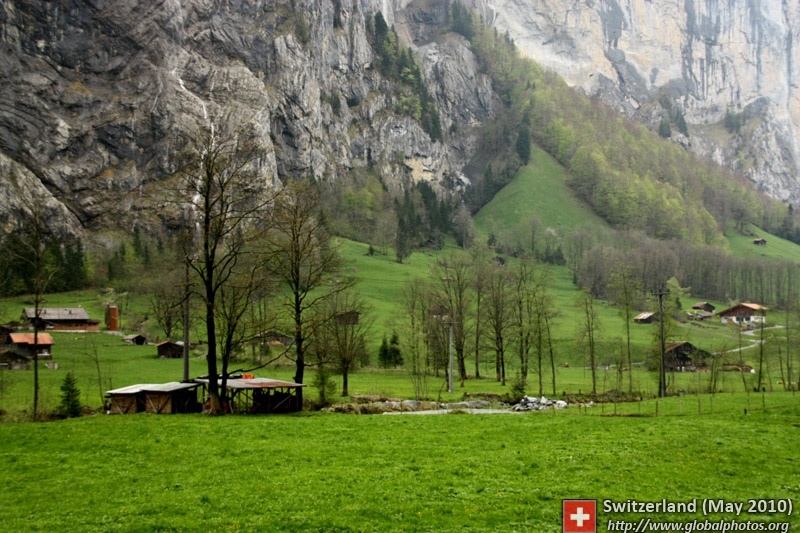 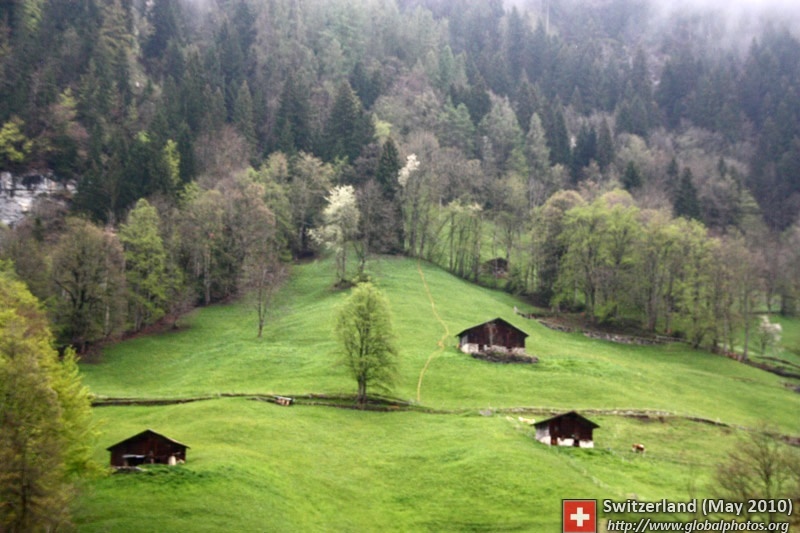 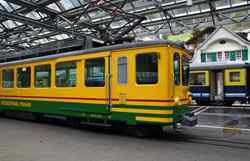 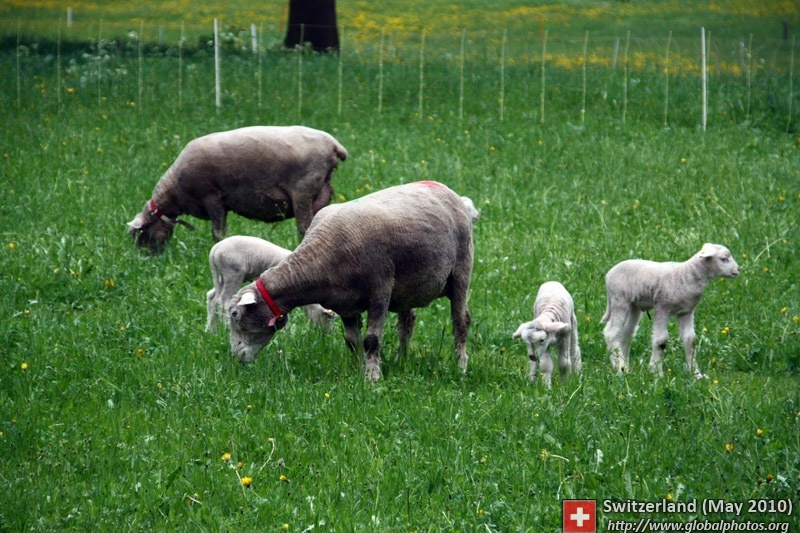 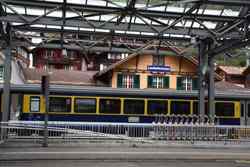 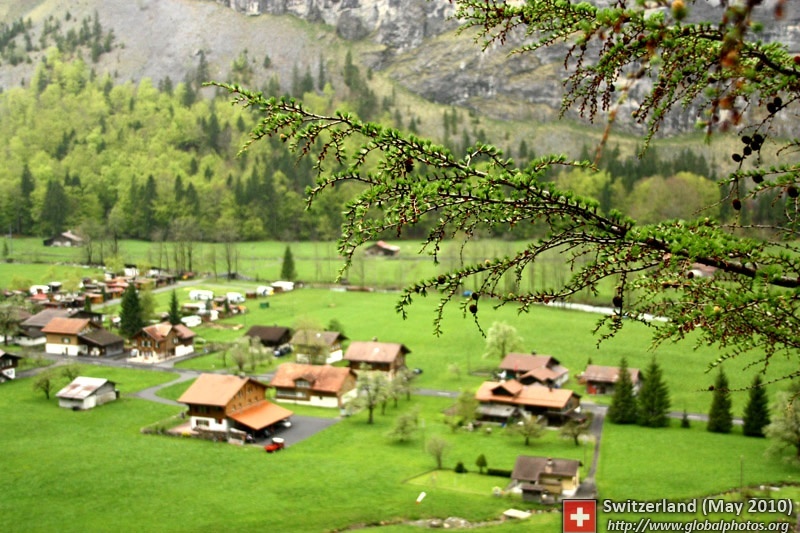 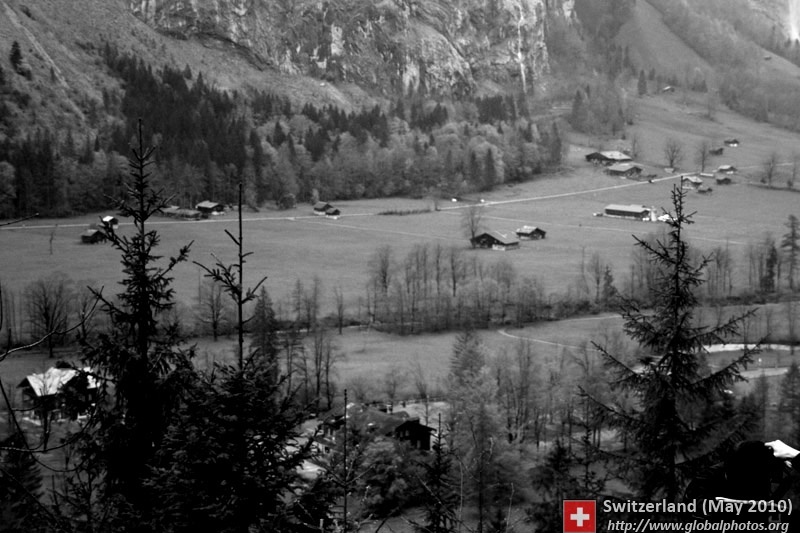 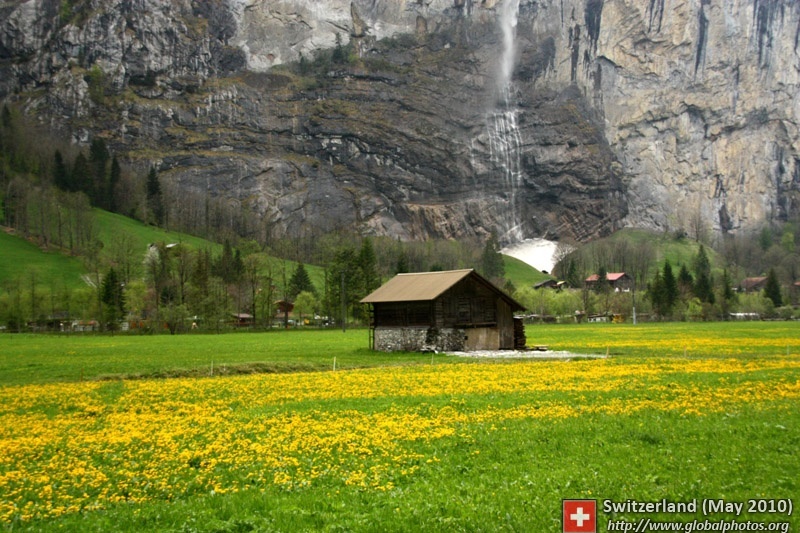 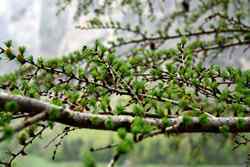 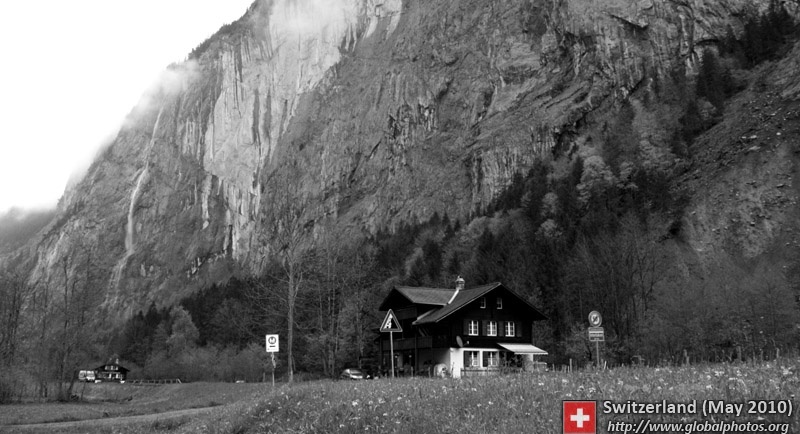 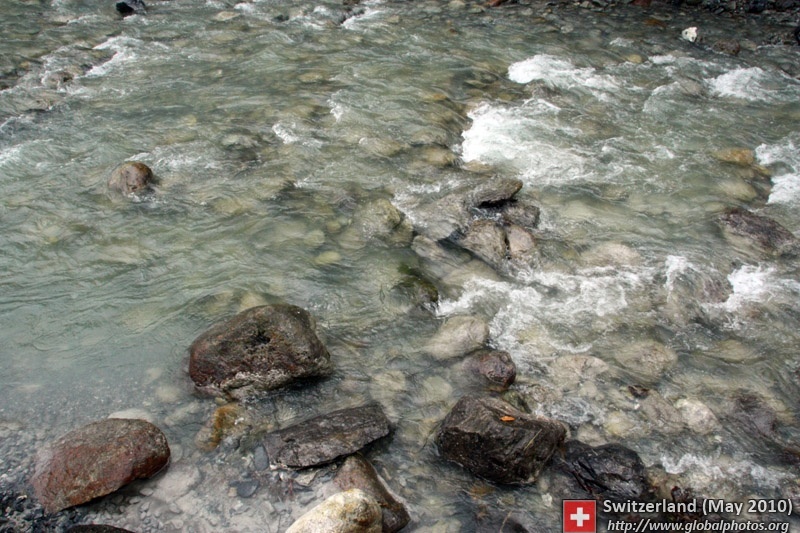 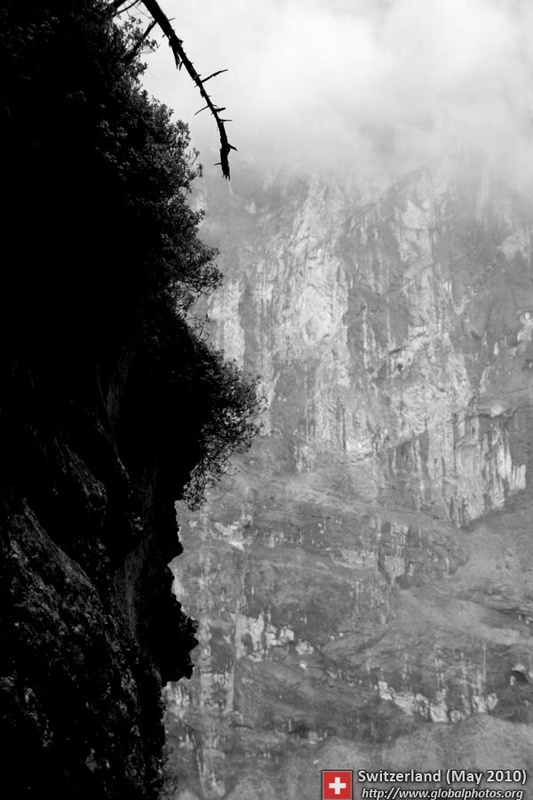 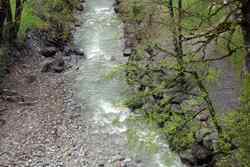 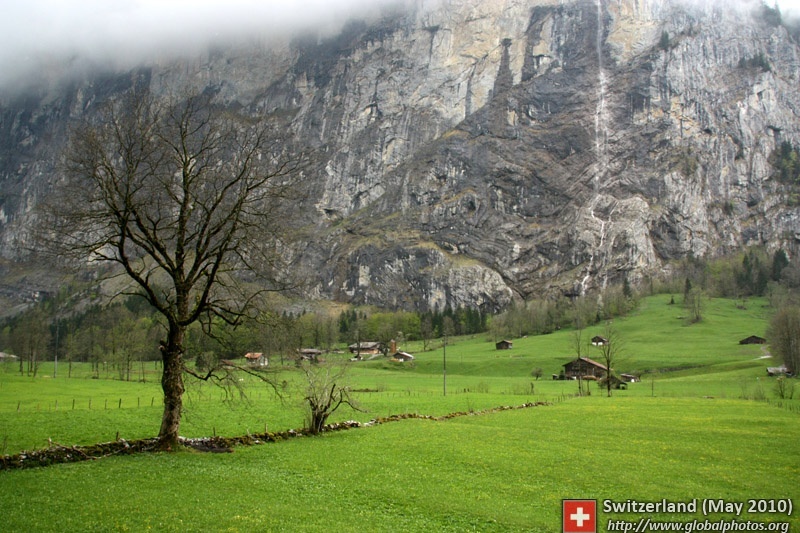 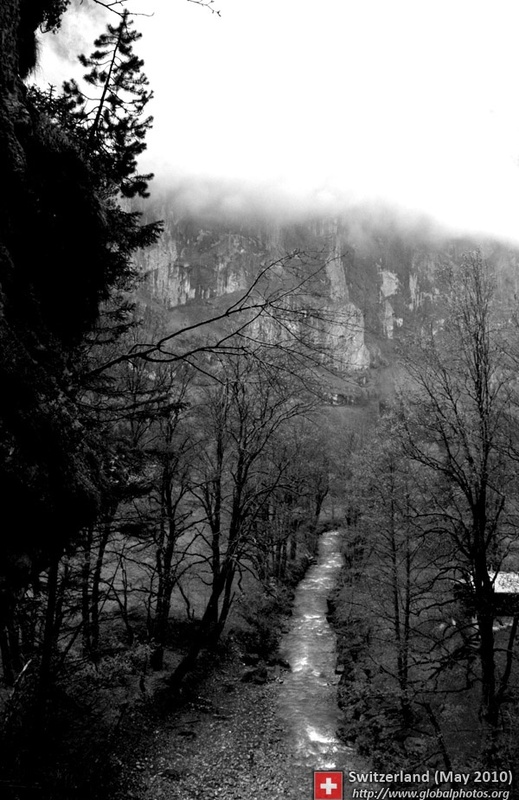 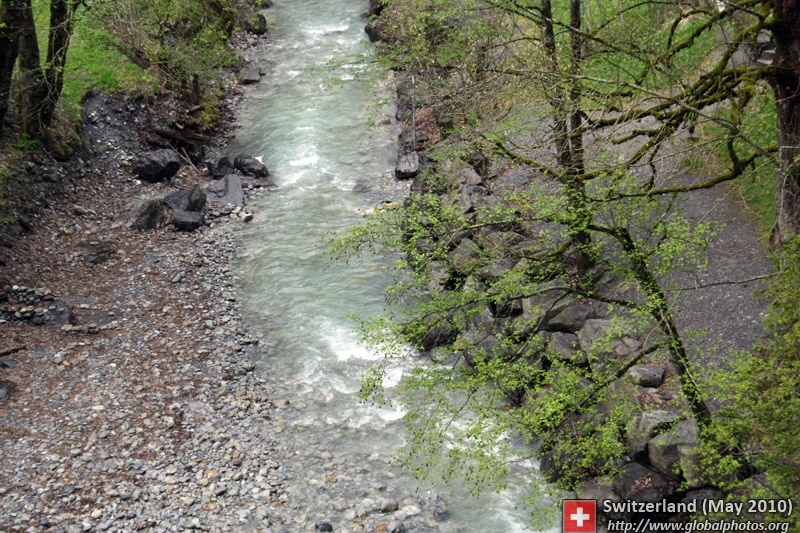 Welcome to Lauterbrunnen - the glacier valley edged between giant rocks and mountains. 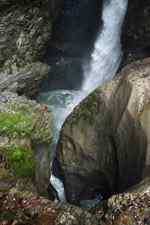 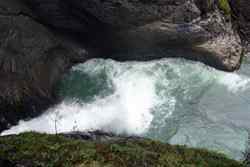 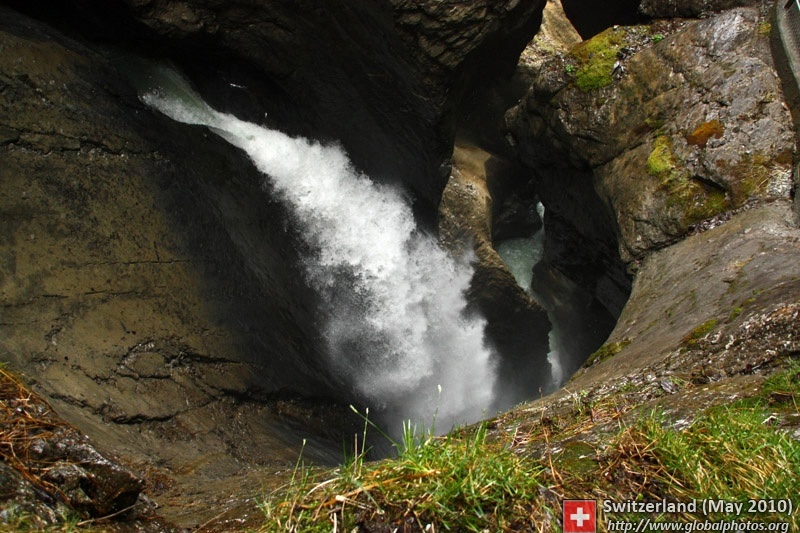 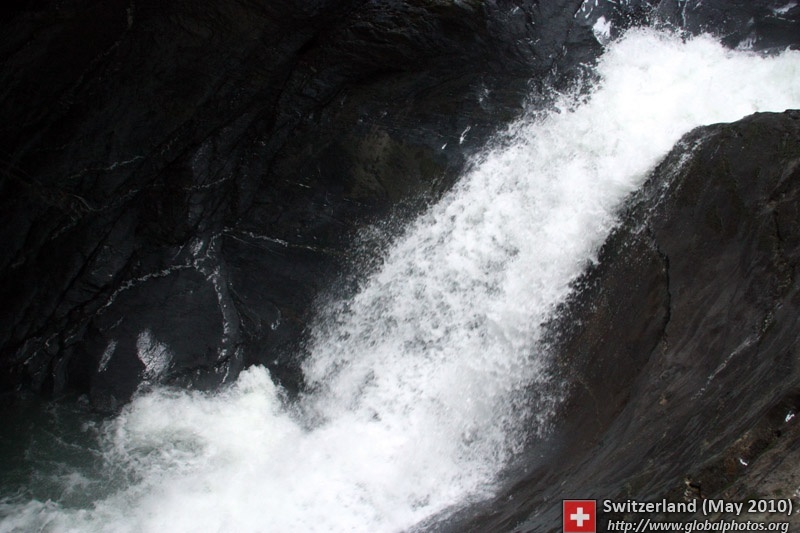 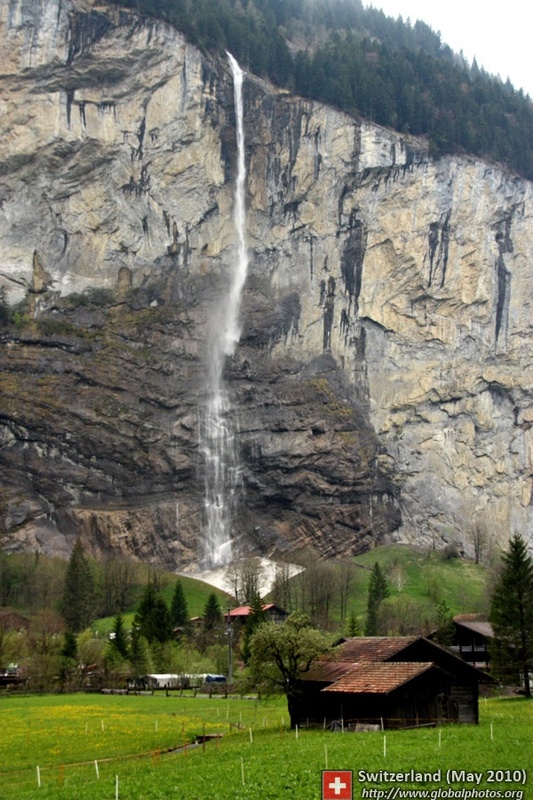 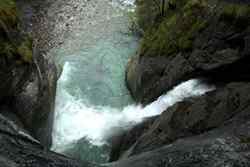 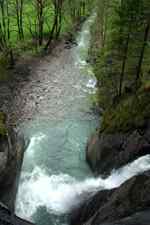 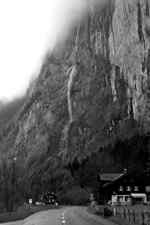 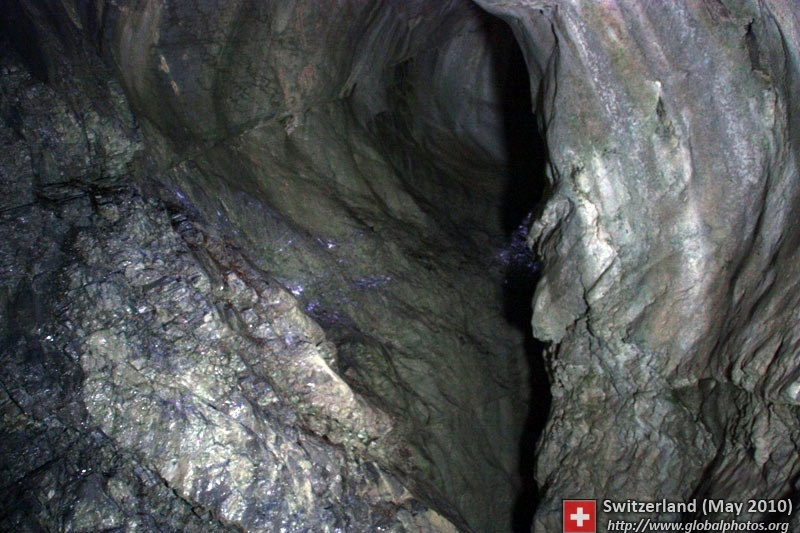 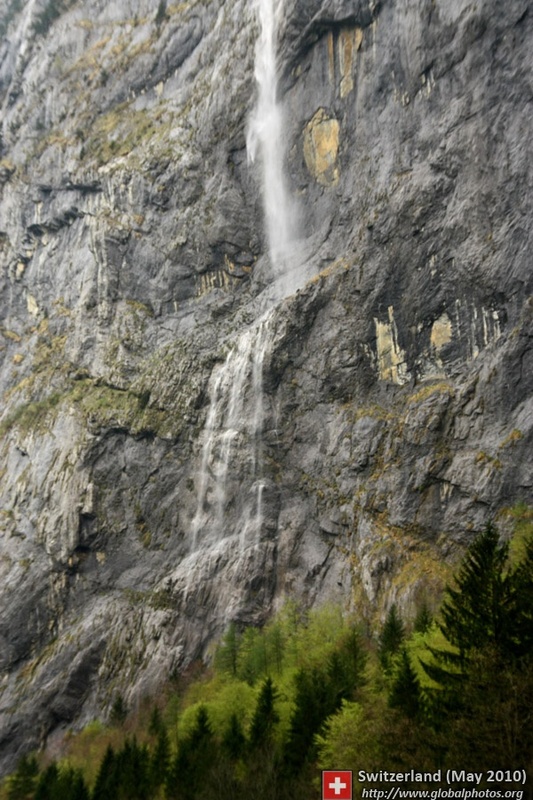 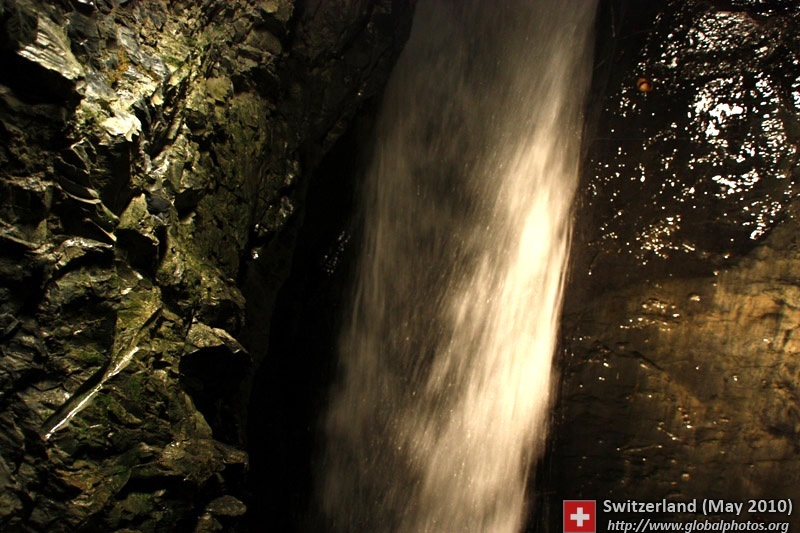 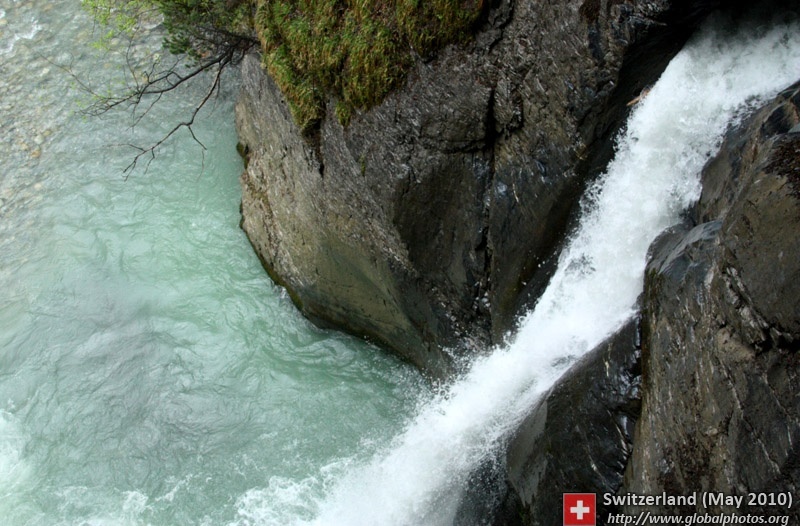 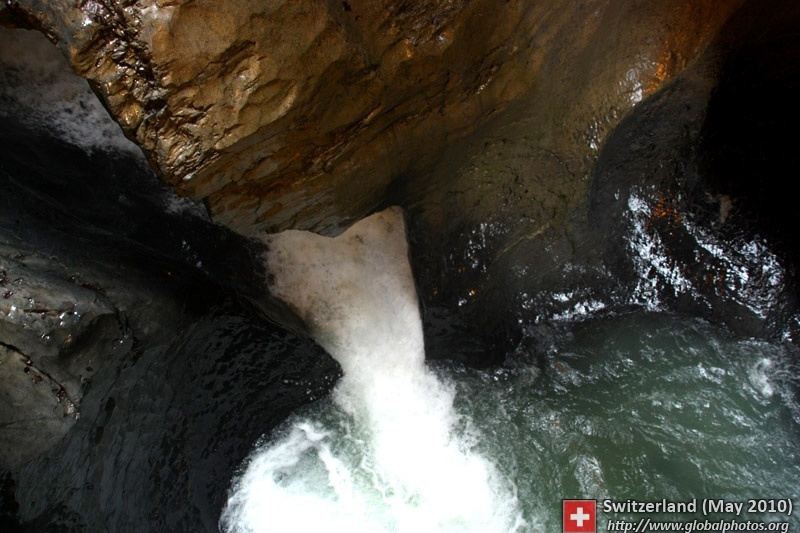 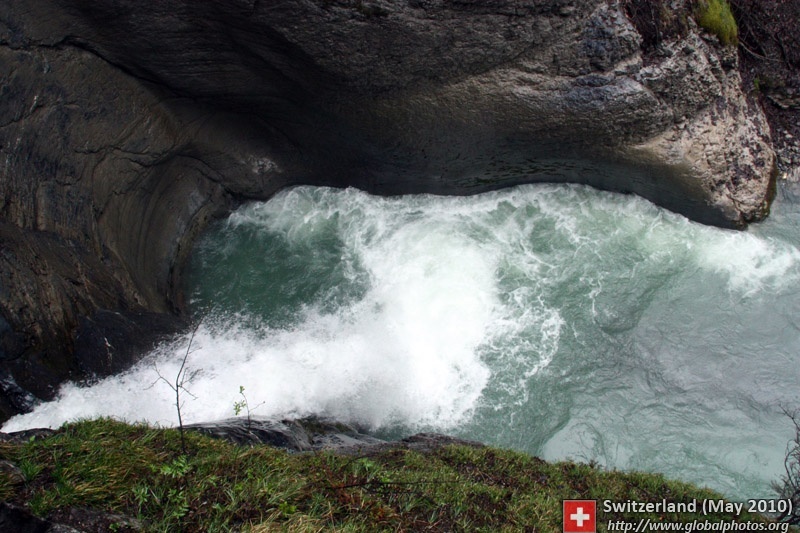 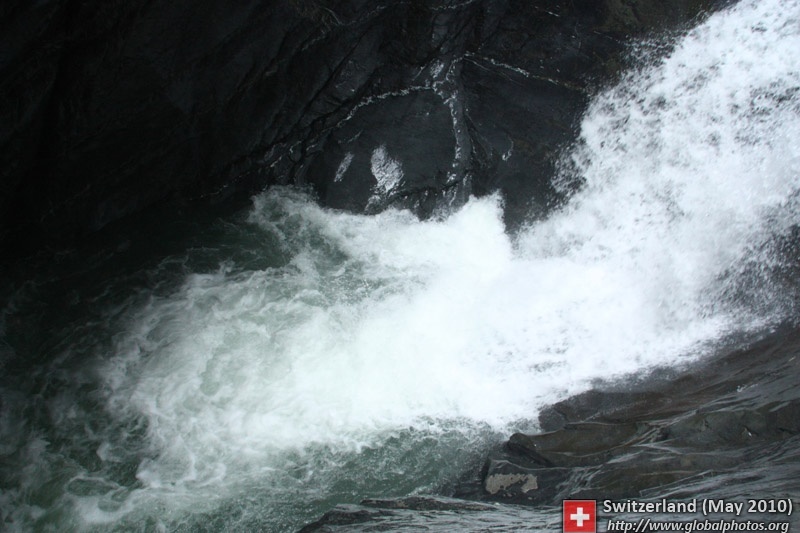 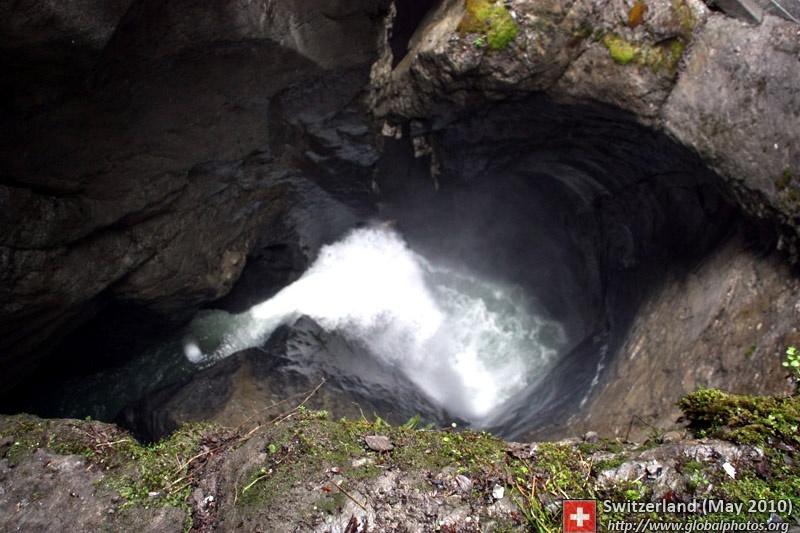 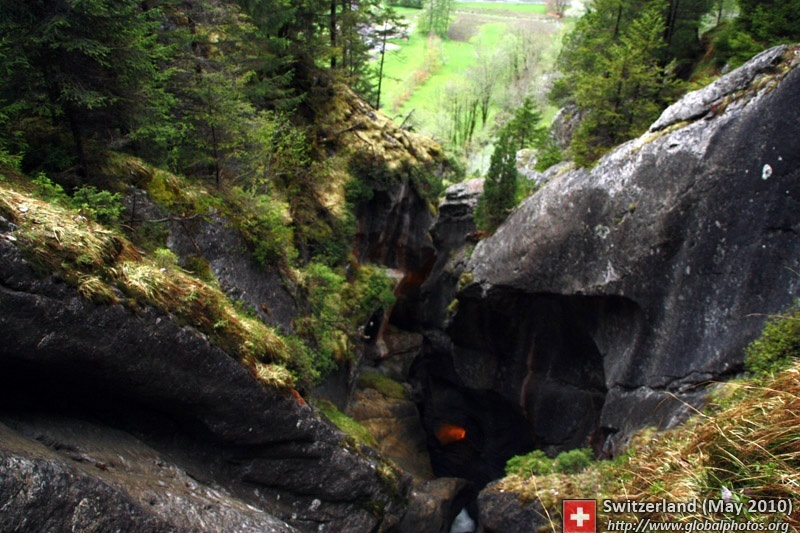 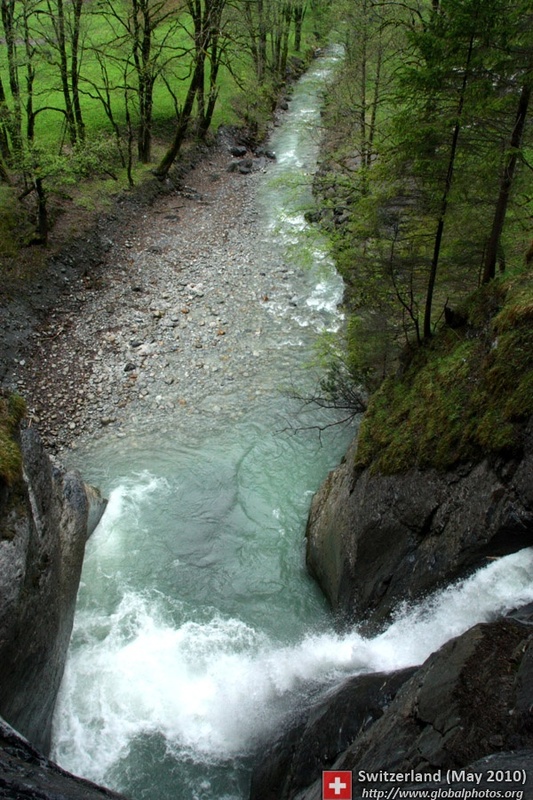 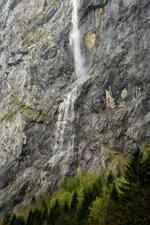 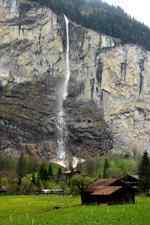 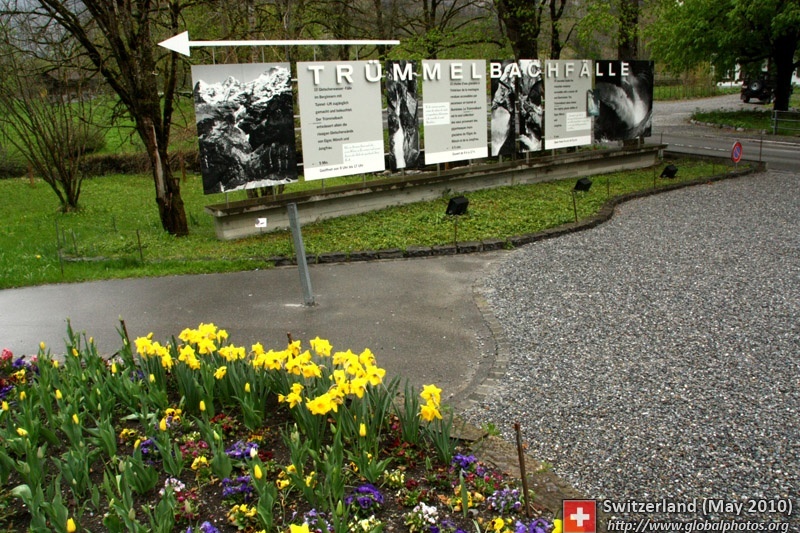 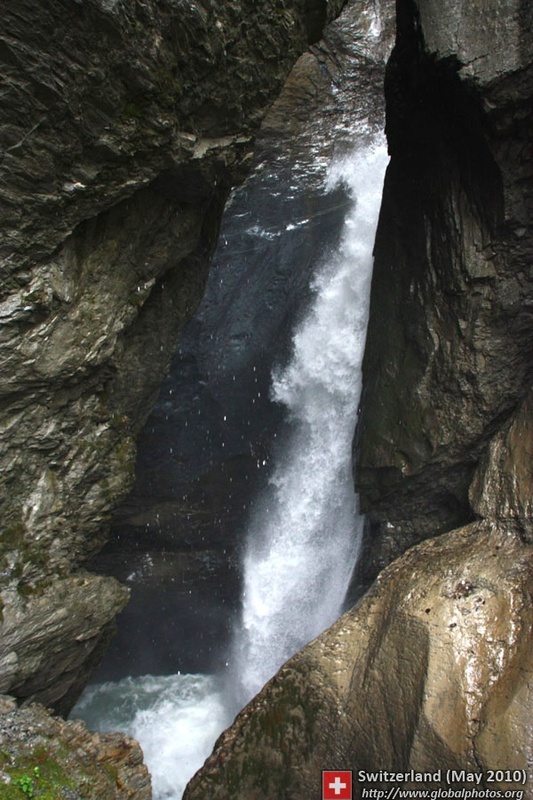 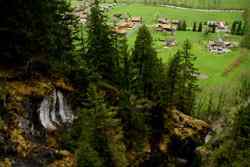 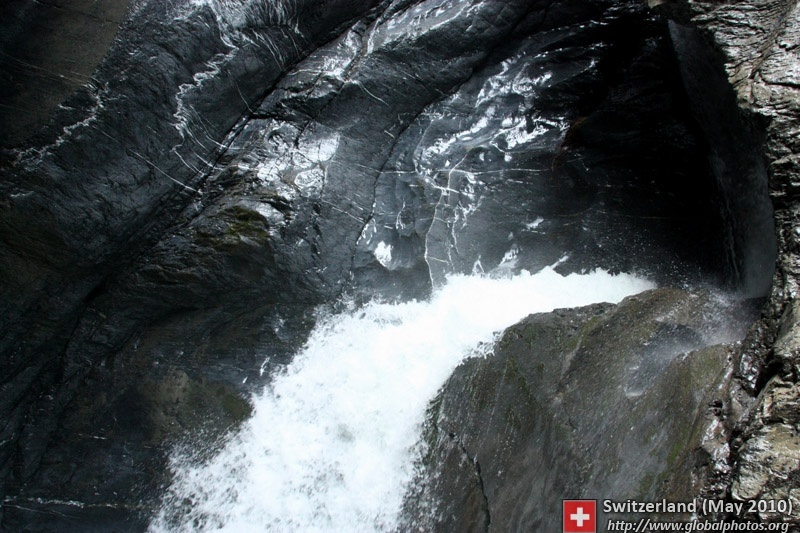 Trummelbachfalle is a series of 10 glacial waterfalls inside the mountains, drawing from the Eiger, Monch, and Jungfrau glaciers. The journey begins with an elevator ride up along the mountain, and the view of the valley was impressive. 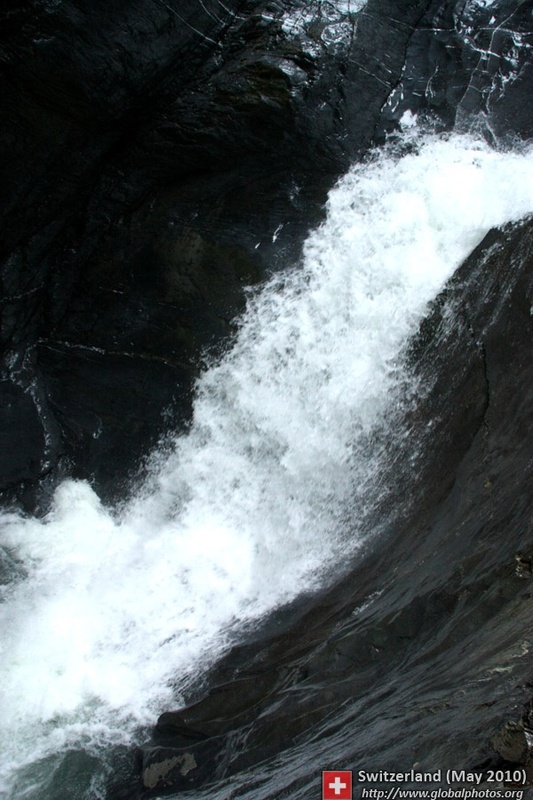 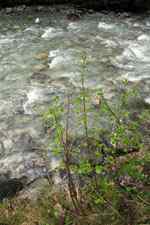 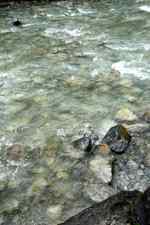 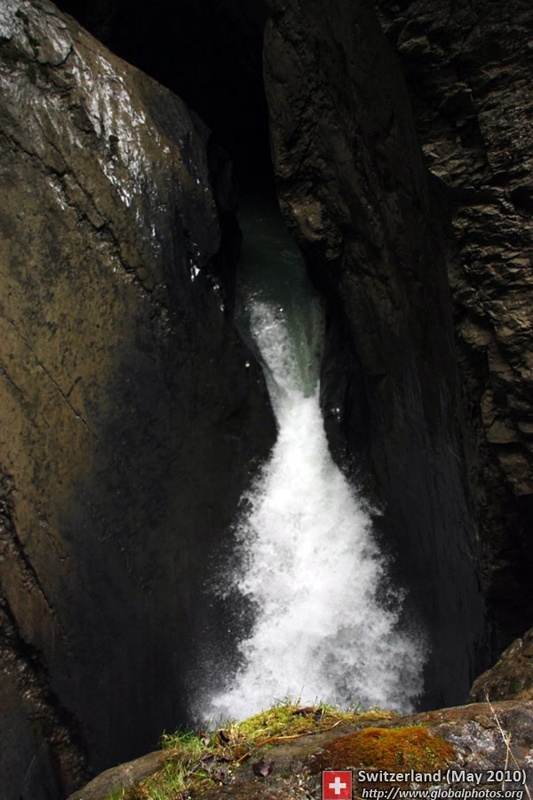 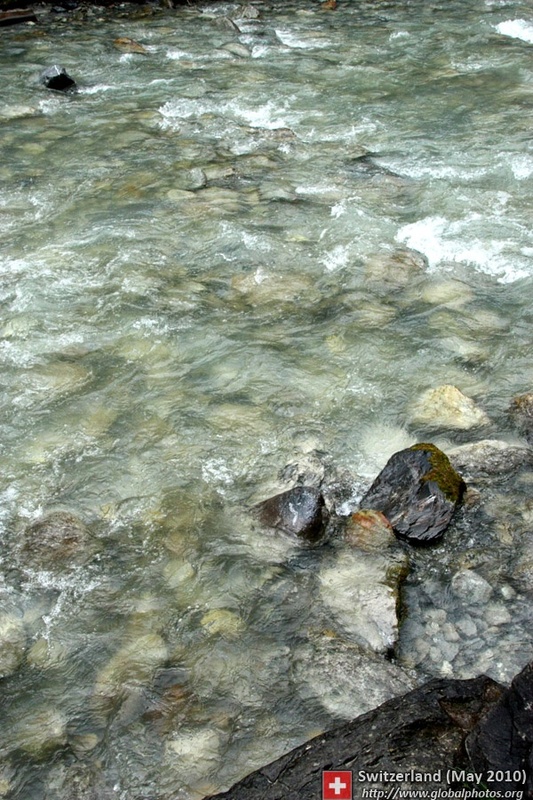 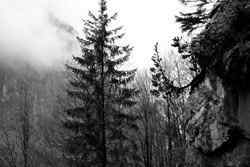 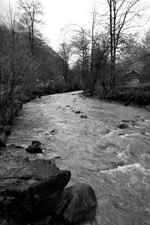 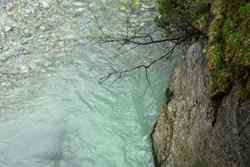 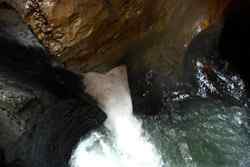 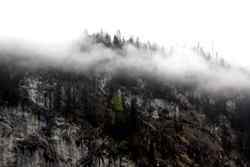 The water tumbles between the rocks along the mountains. 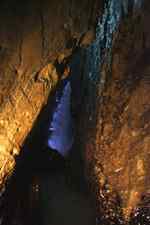 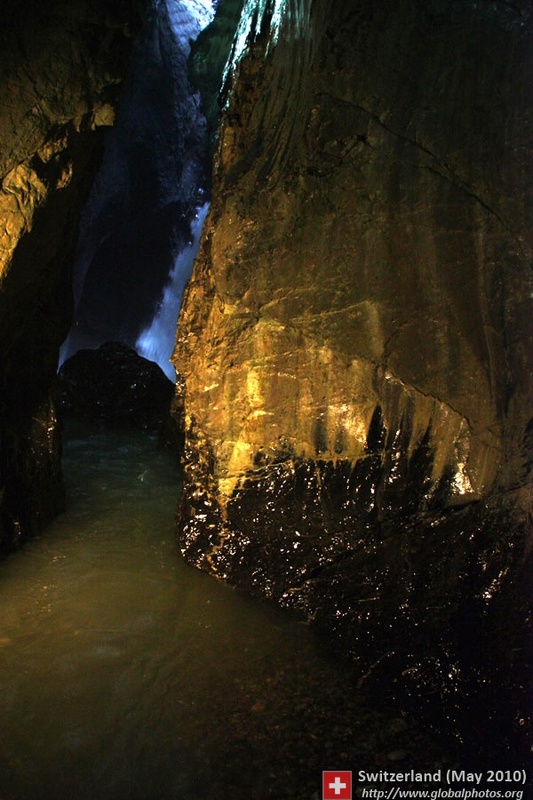 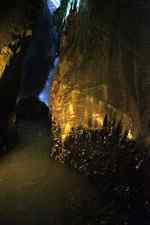 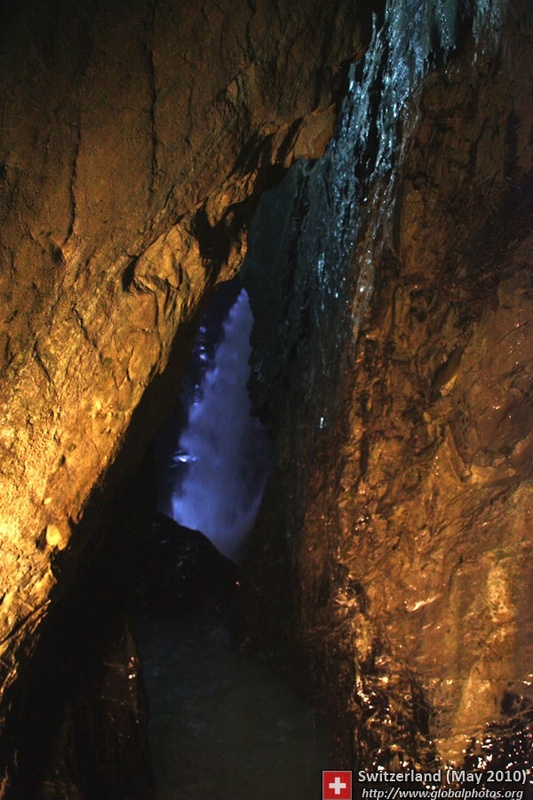 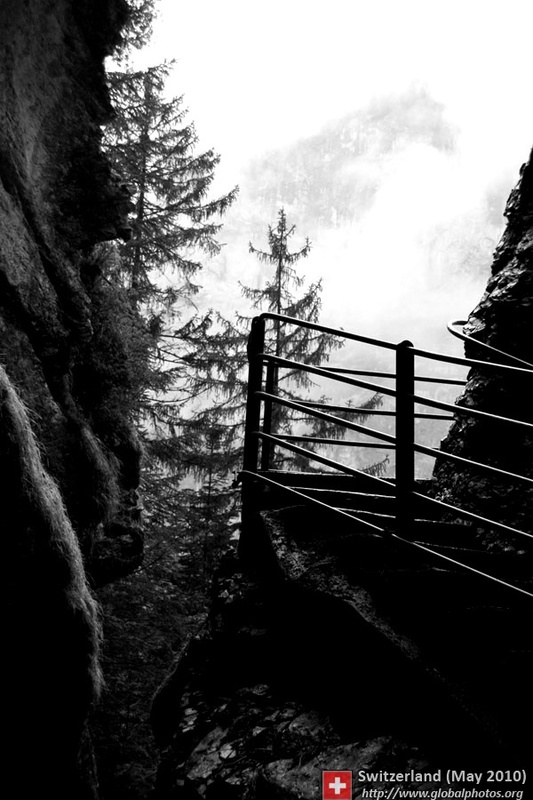 Visitors tread through staircases, carved passages, and along slippery crevices to appreciate the magnitude and power of the water. 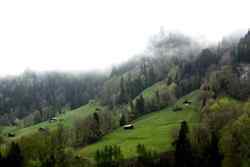 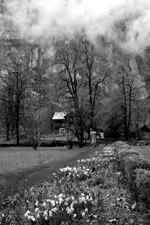 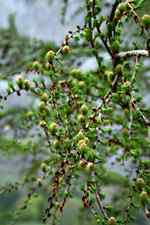 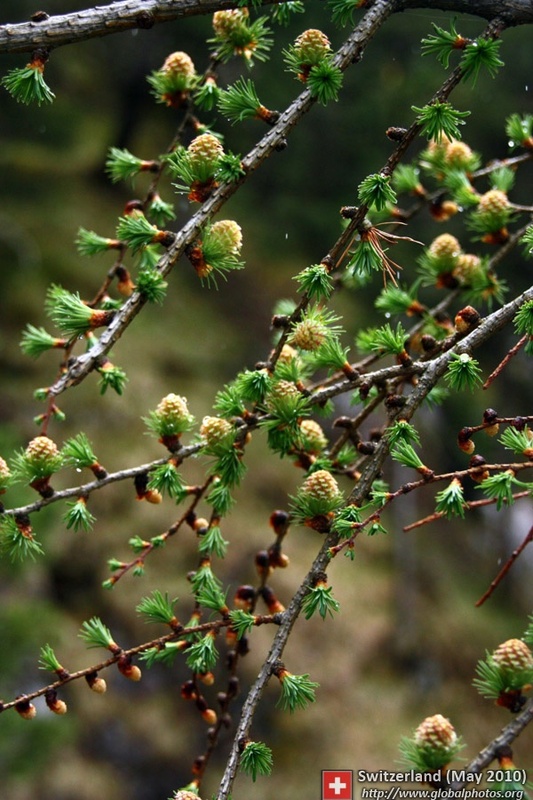 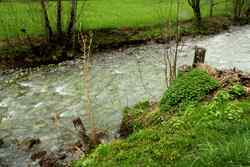 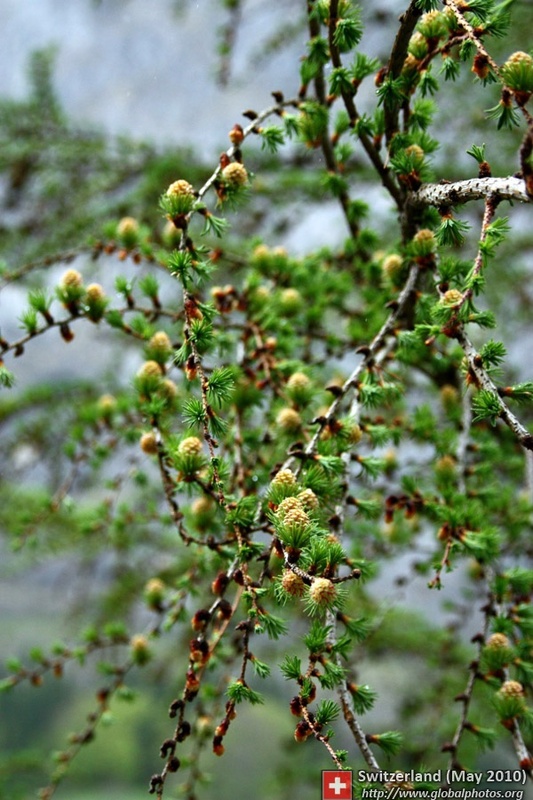 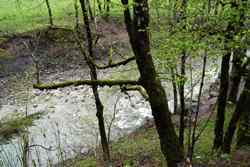 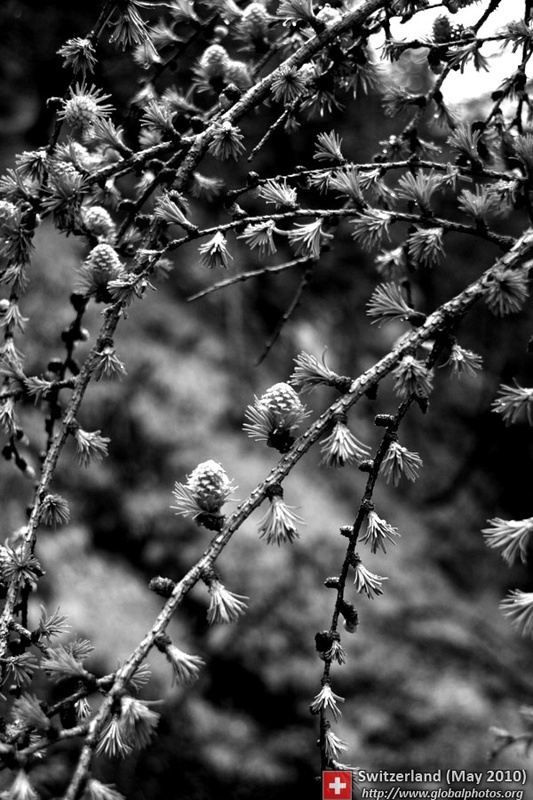 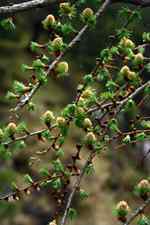 The rain had stopped, so a walk back to town became the best way to appreciate the rural beauty. Despite their seemingly harmless looks, these cows were not friendly at all and were about to embark on a bull charge. The sheep were much more friendly than the cows though.